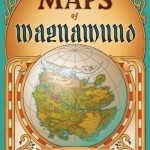 The Maps of Magnamund collection comprise 36 detailed colour maps of the world of Magnamund, produced in nine sets of four maps. 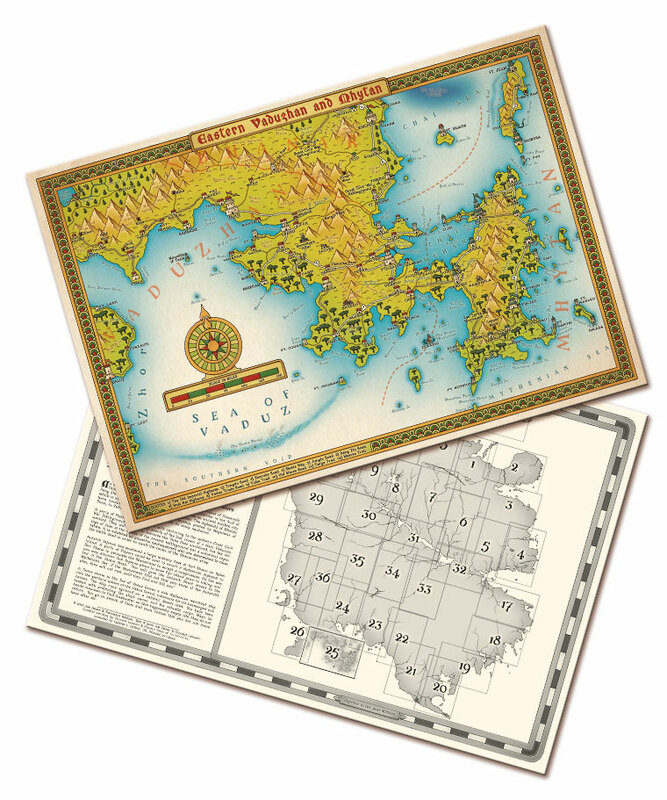 Illustrated by Francesco Mattioli, they combine exquisitely intricate maps on the front with a world grid and useful background information on the reverse. 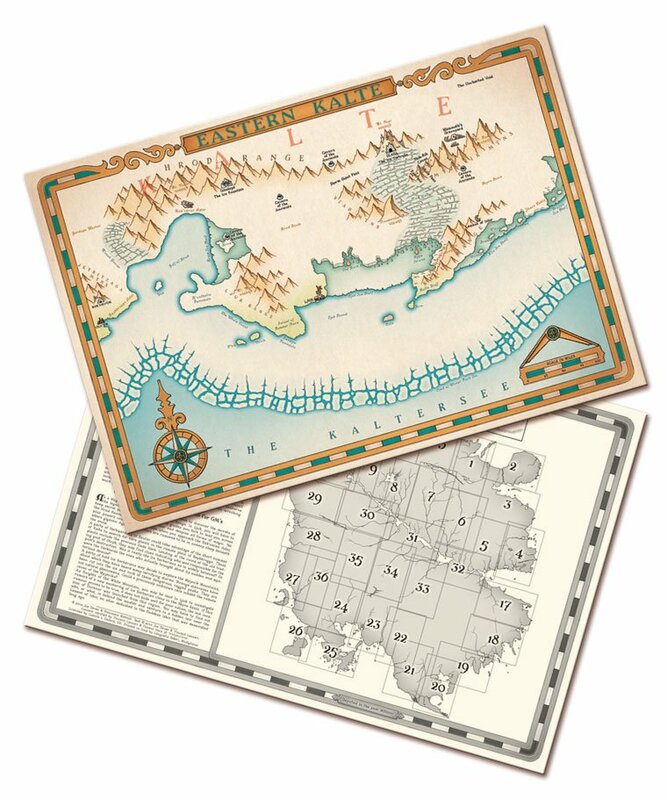 They cover many previously uncharted geographic features, plus special sites and locations never before revealed. 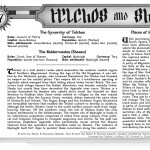 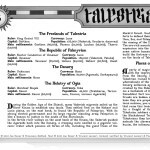 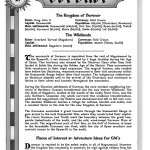 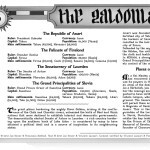 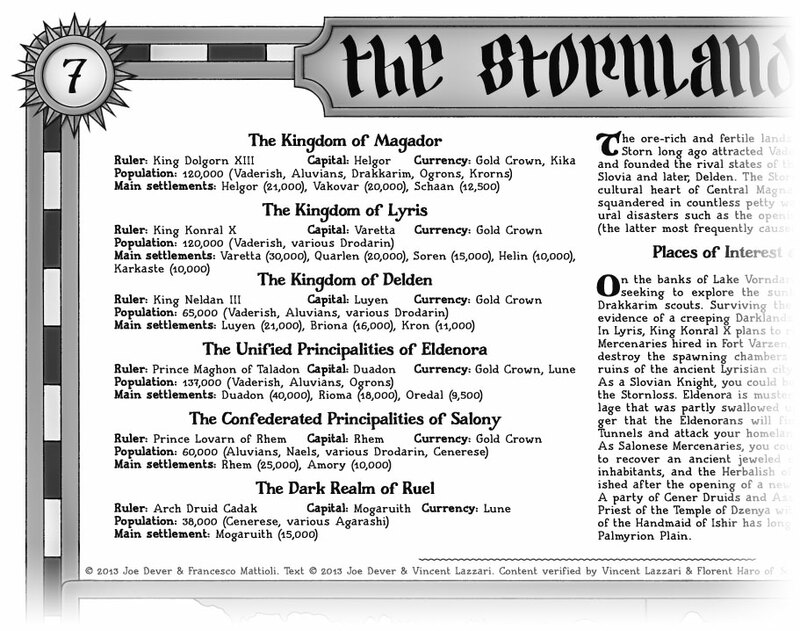 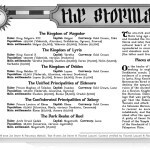 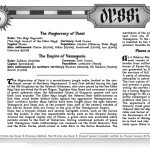 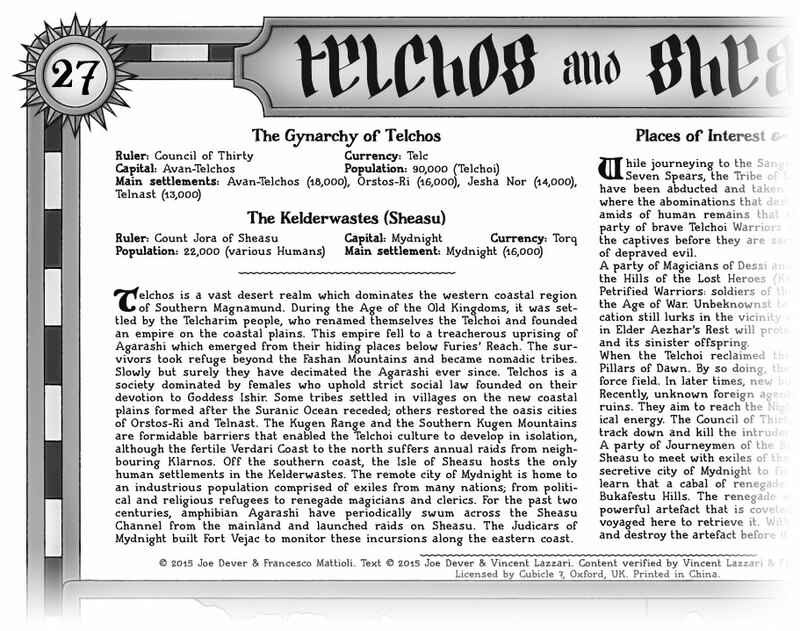 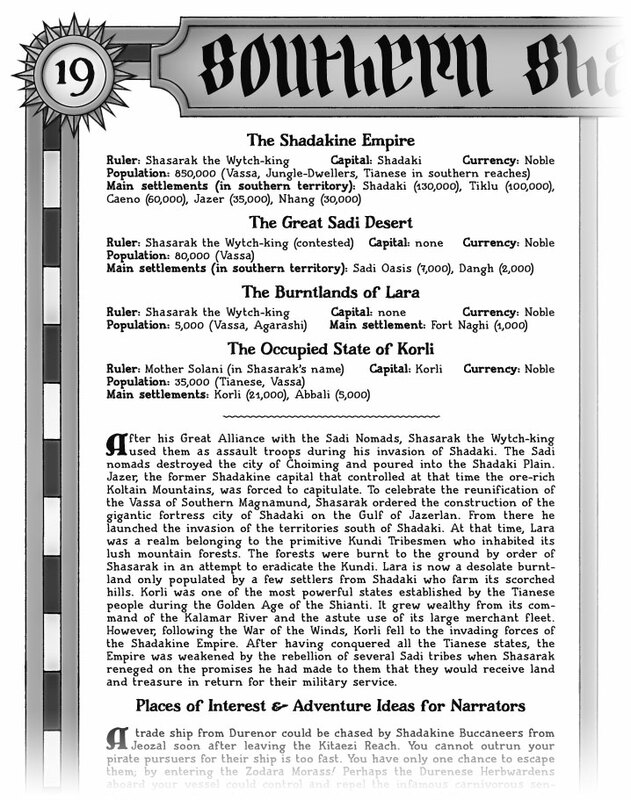 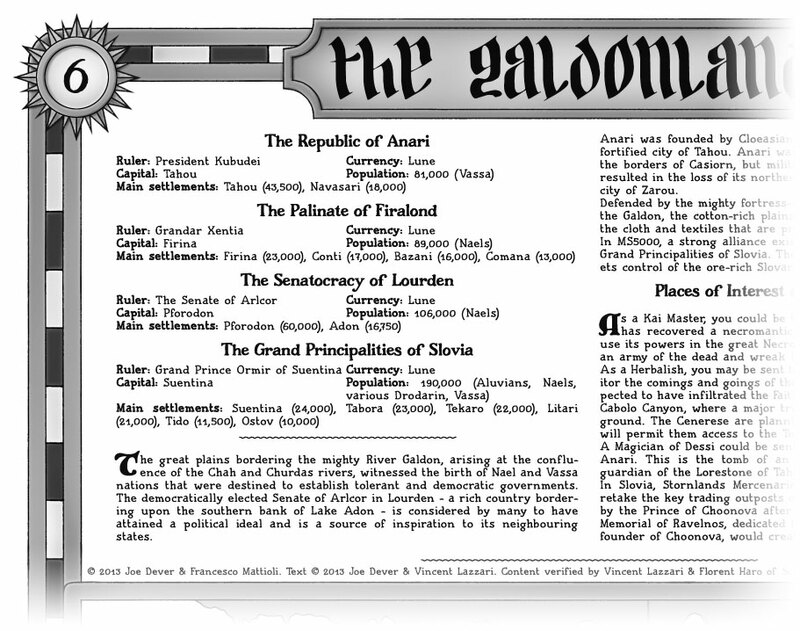 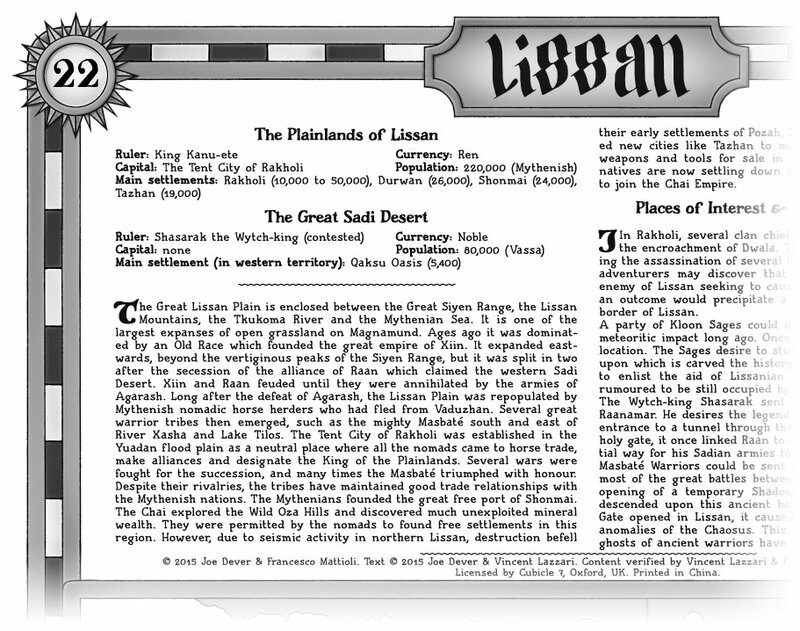 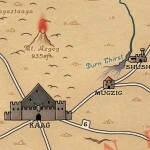 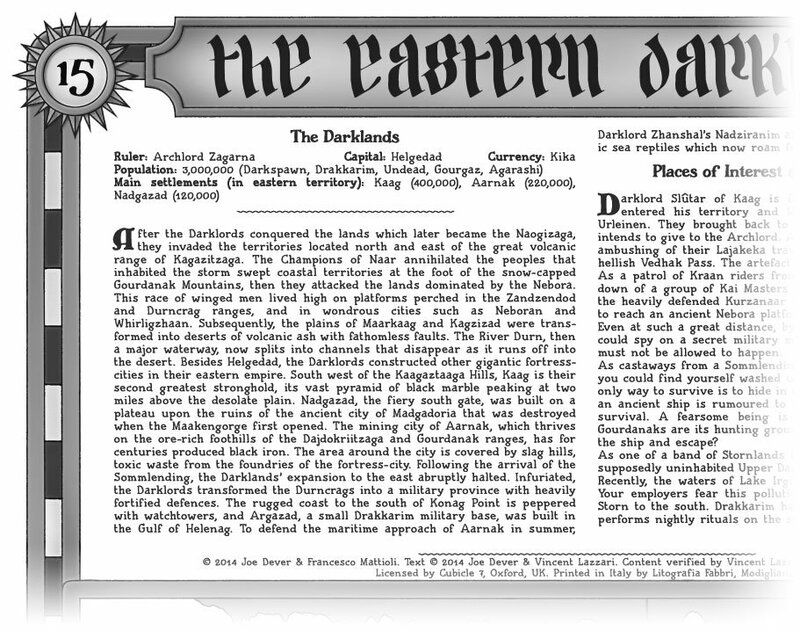 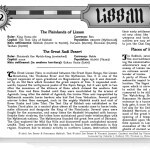 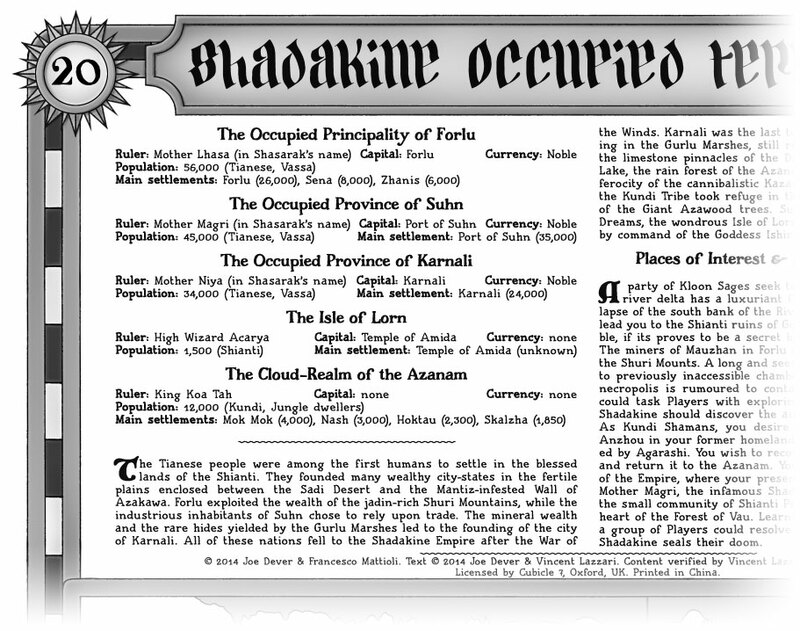 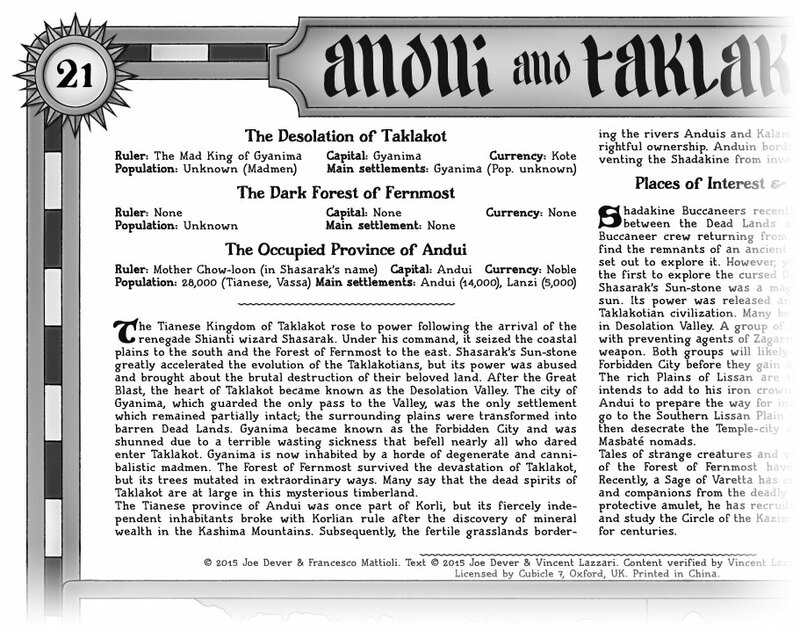 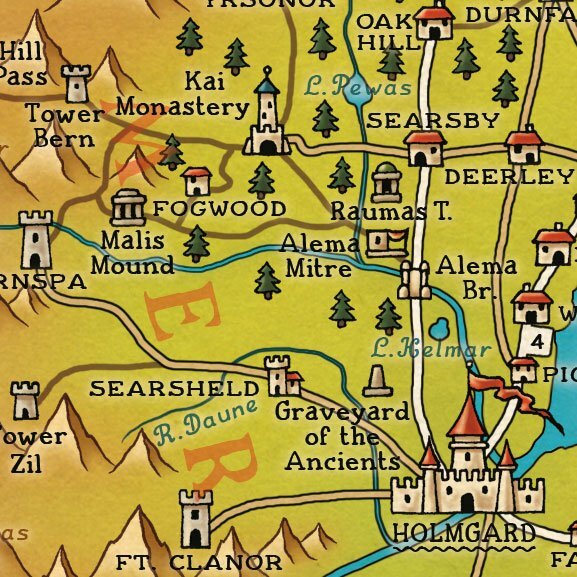 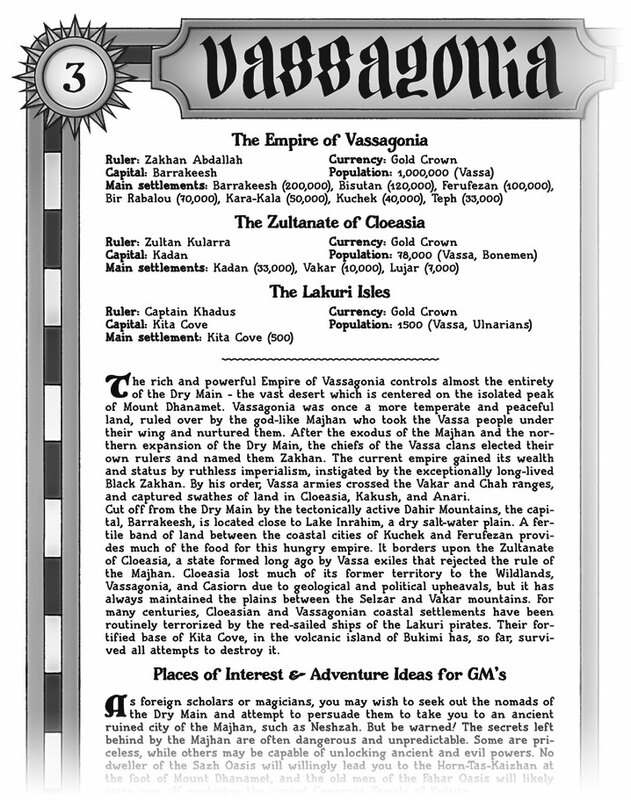 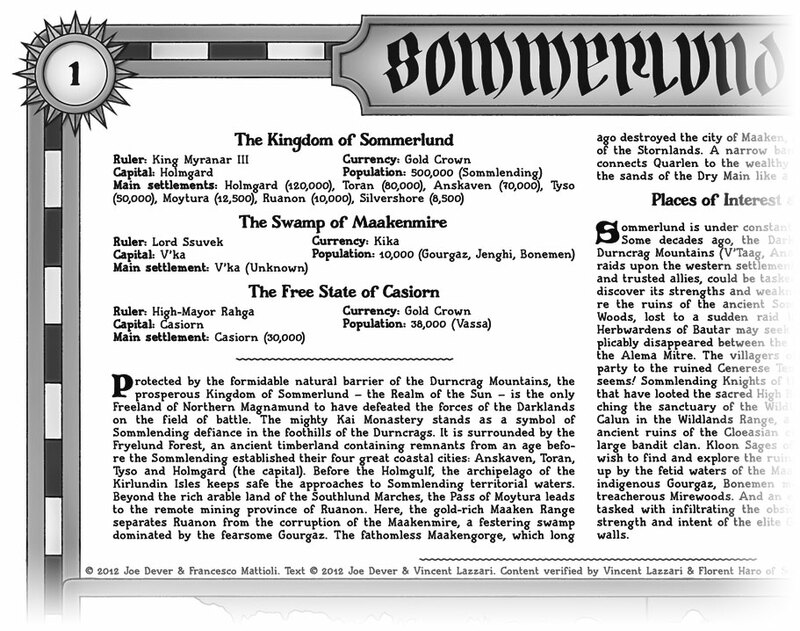 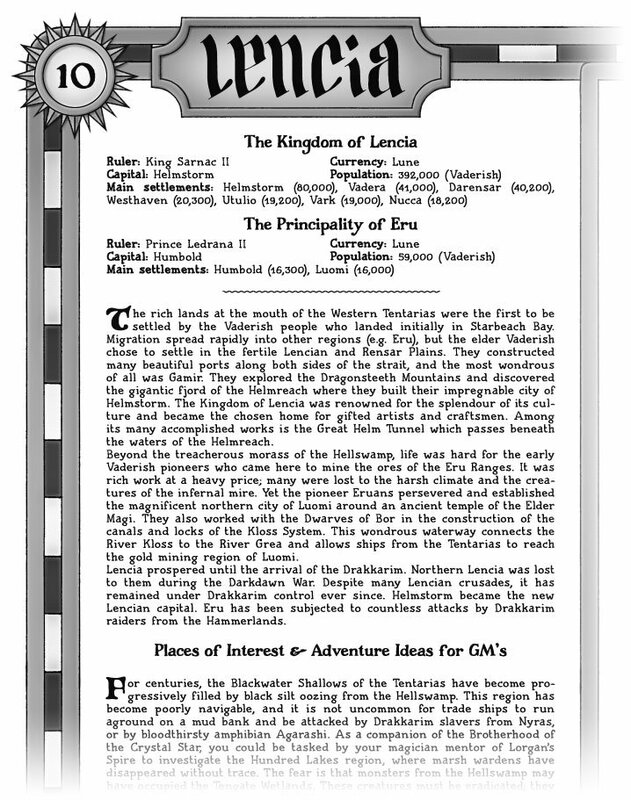 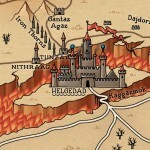 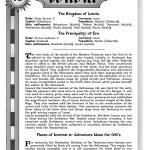 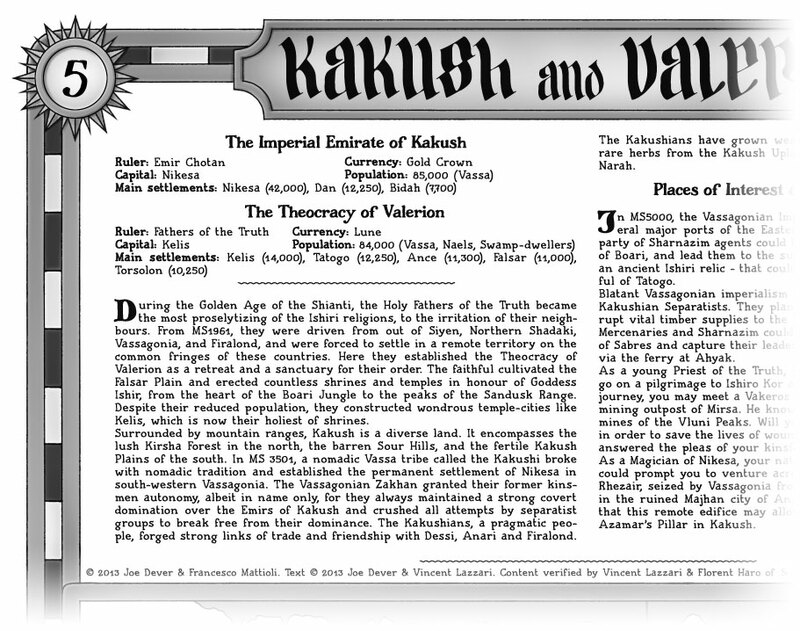 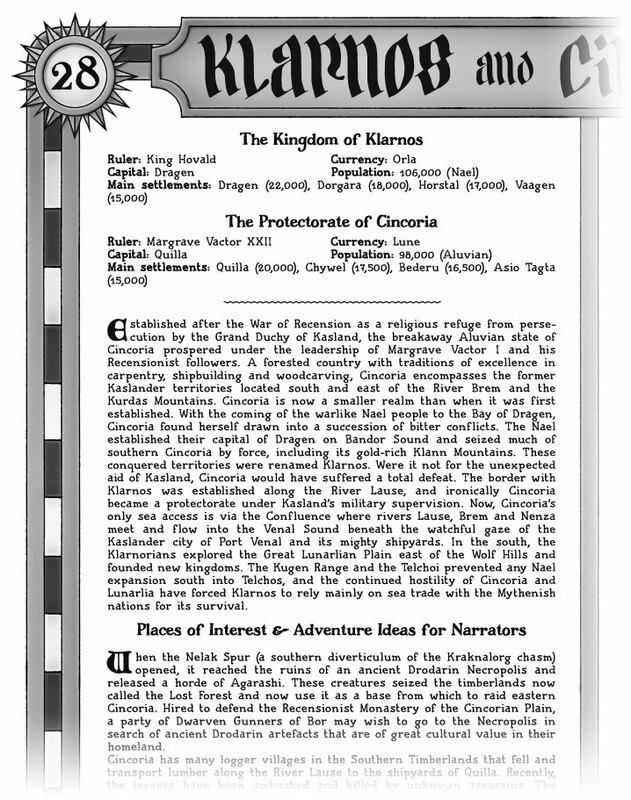 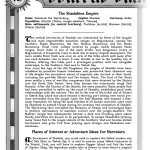 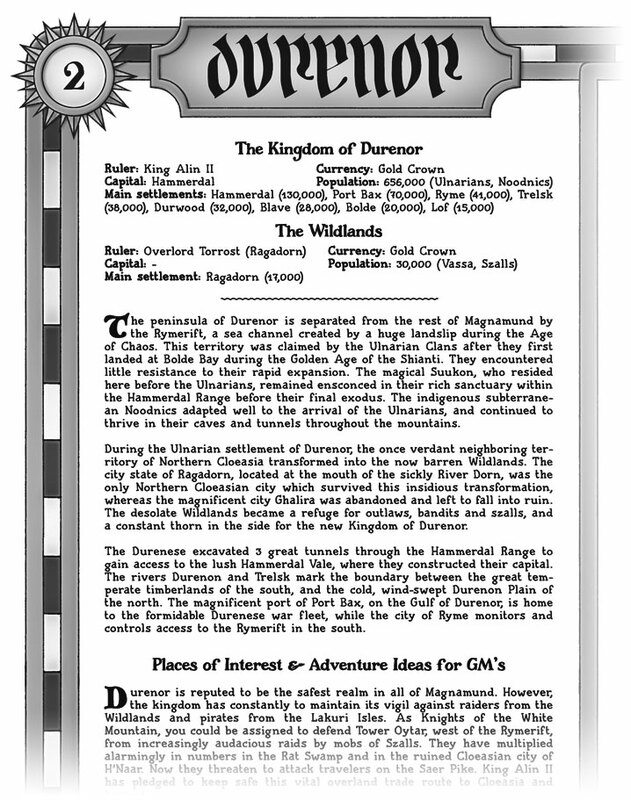 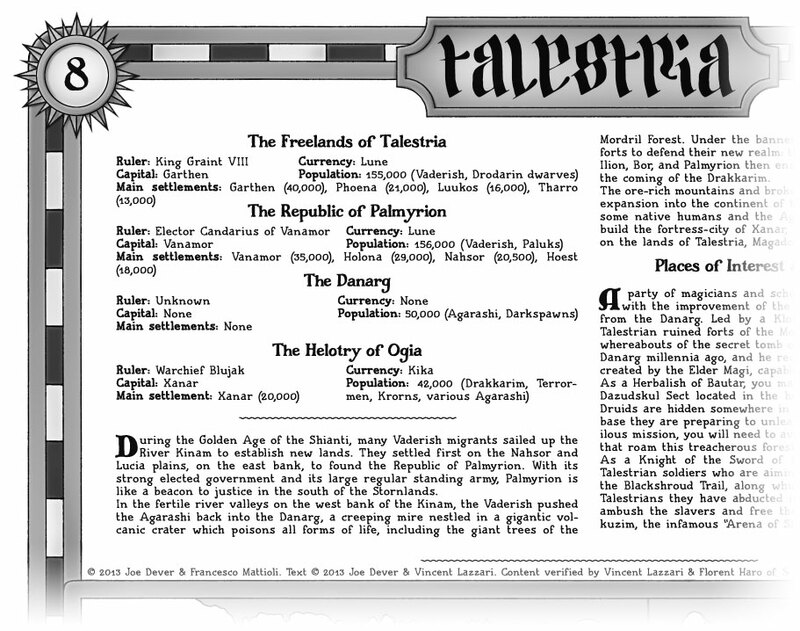 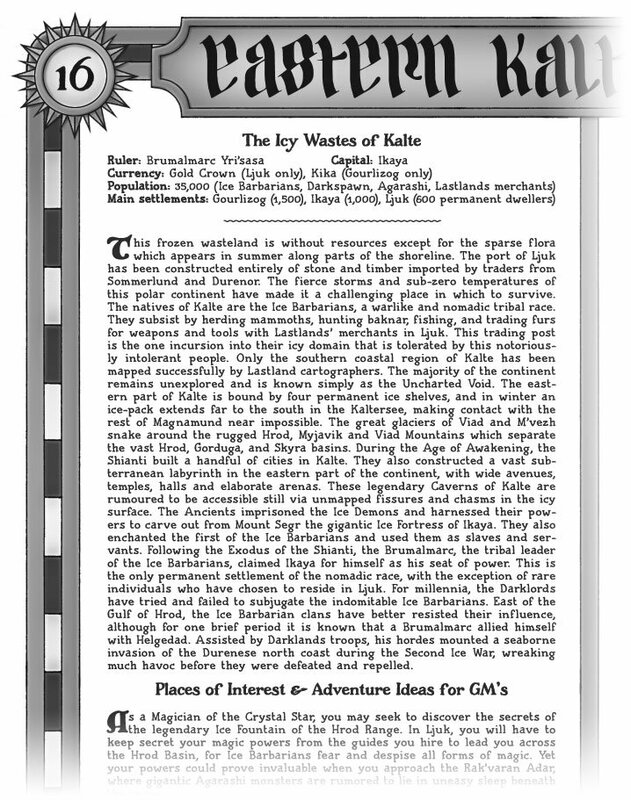 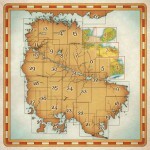 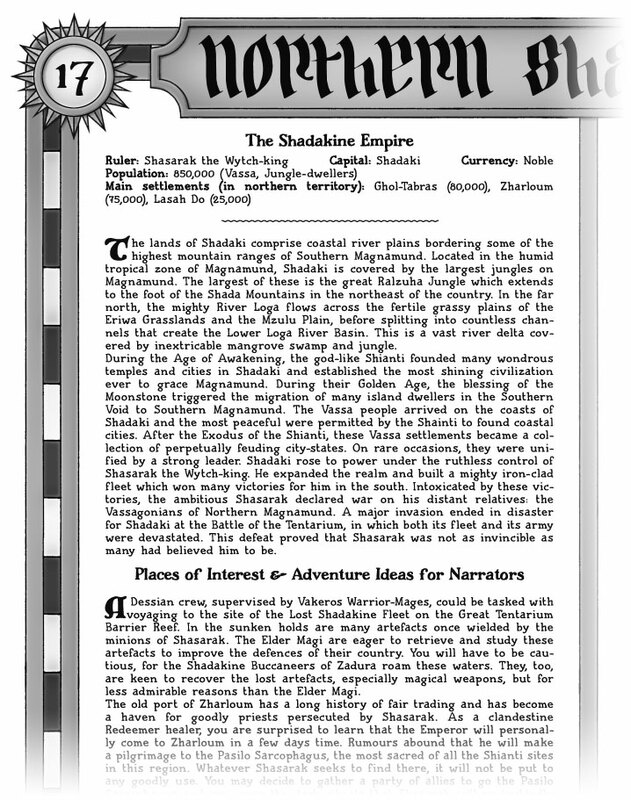 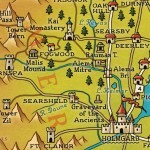 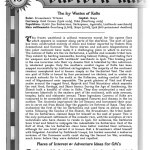 They also contain scenario seeds for the Lone Wolf Adventure Game. 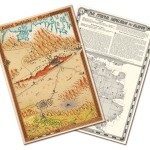 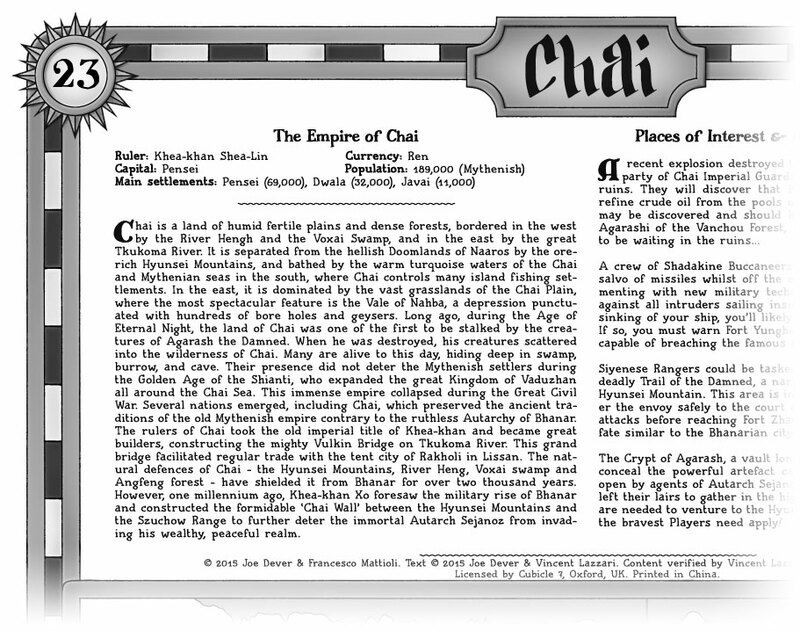 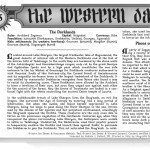 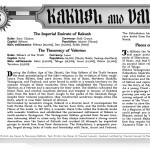 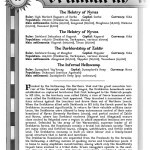 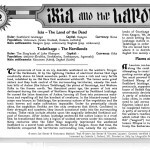 They are licensed and sold by Cubicle 7 Entertainment Ltd., the company that publishes the Lone Wolf Adventure Game. 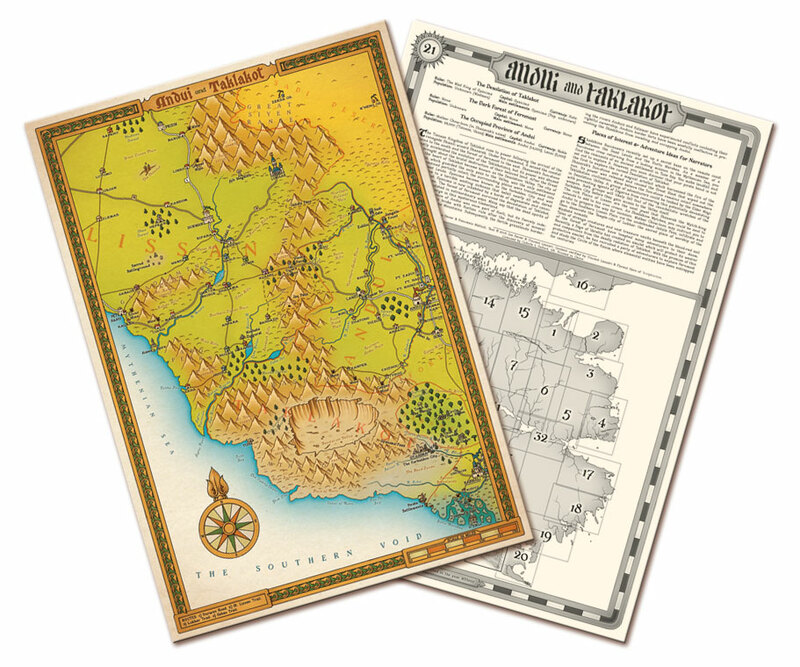 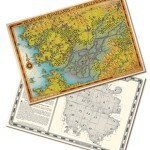 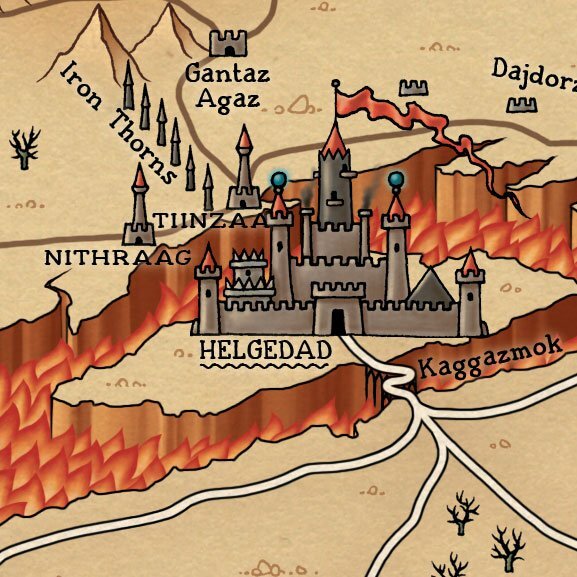 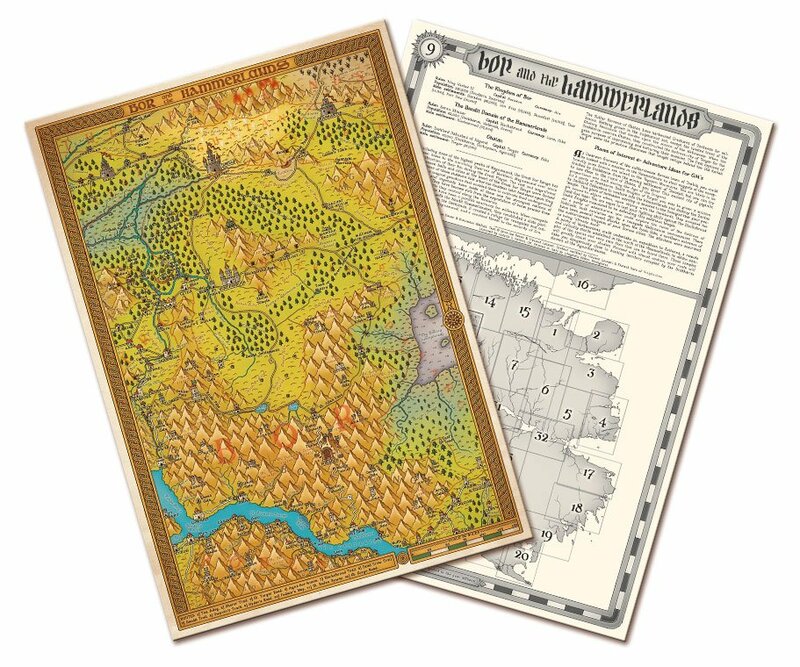 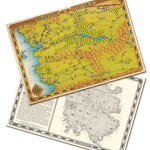 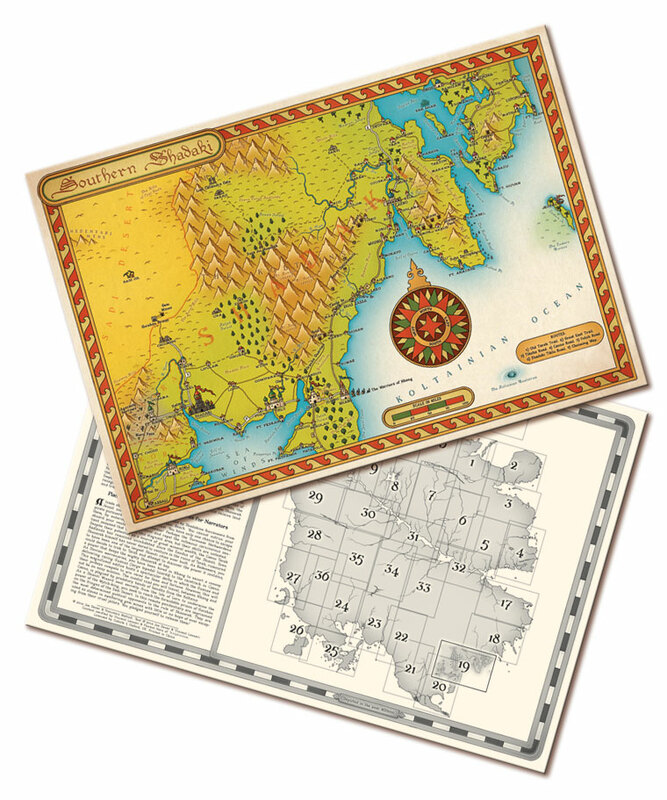 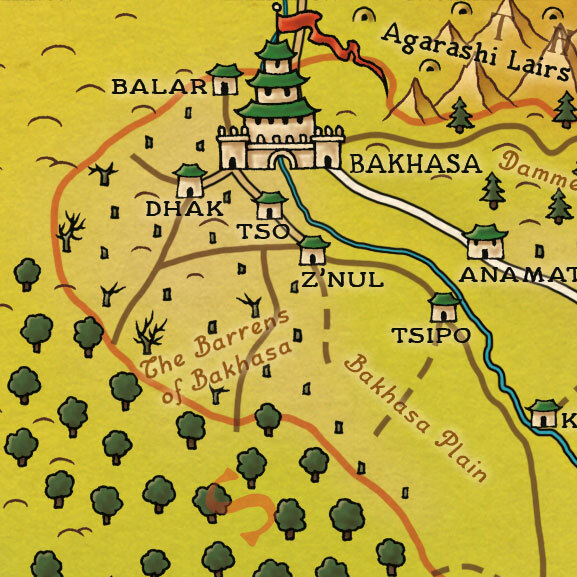 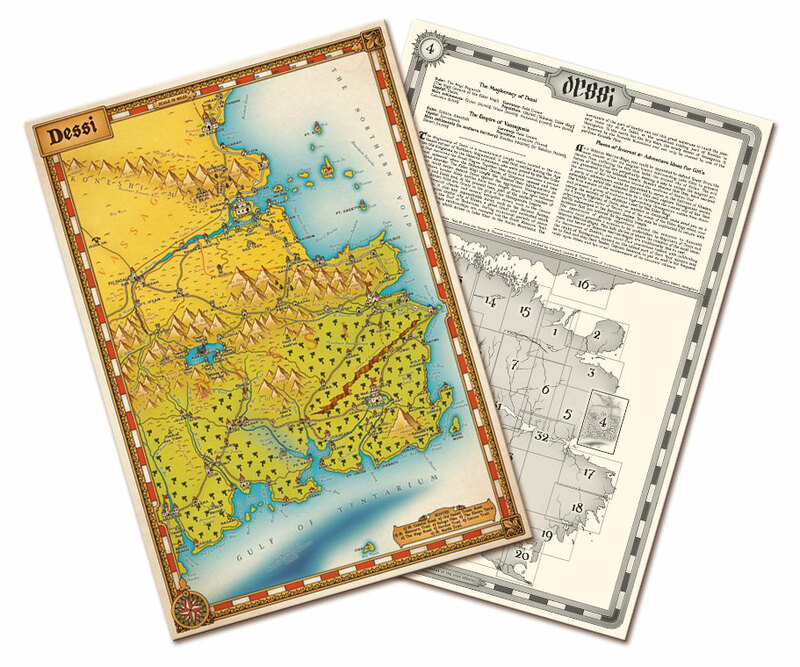 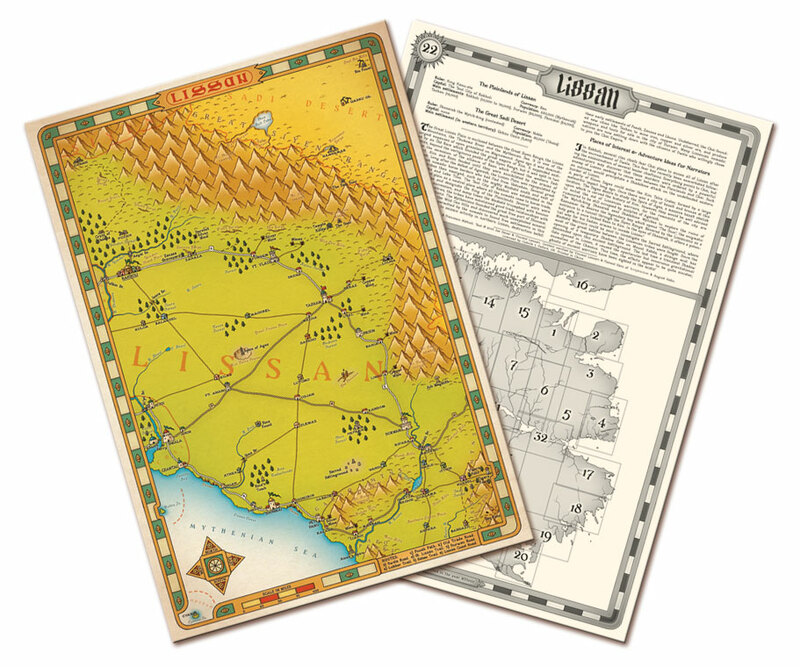 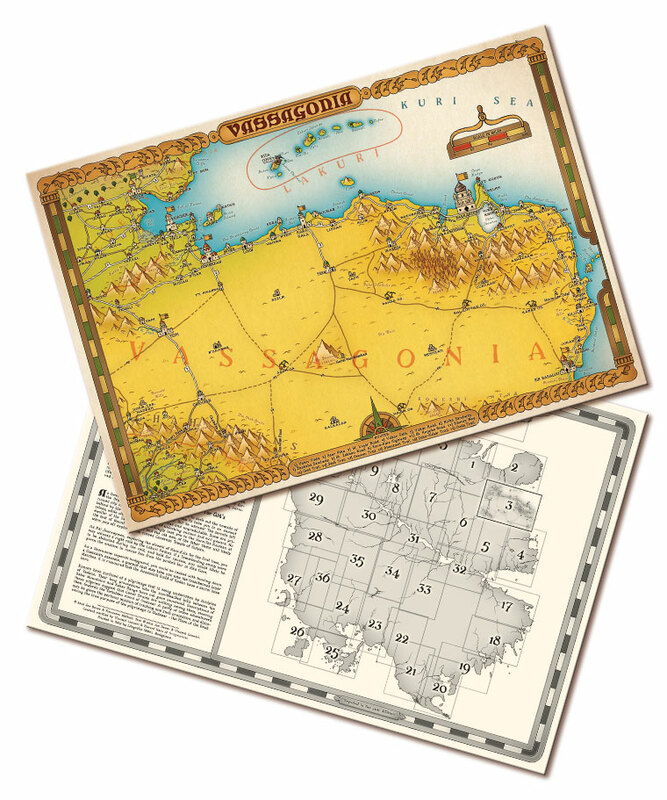 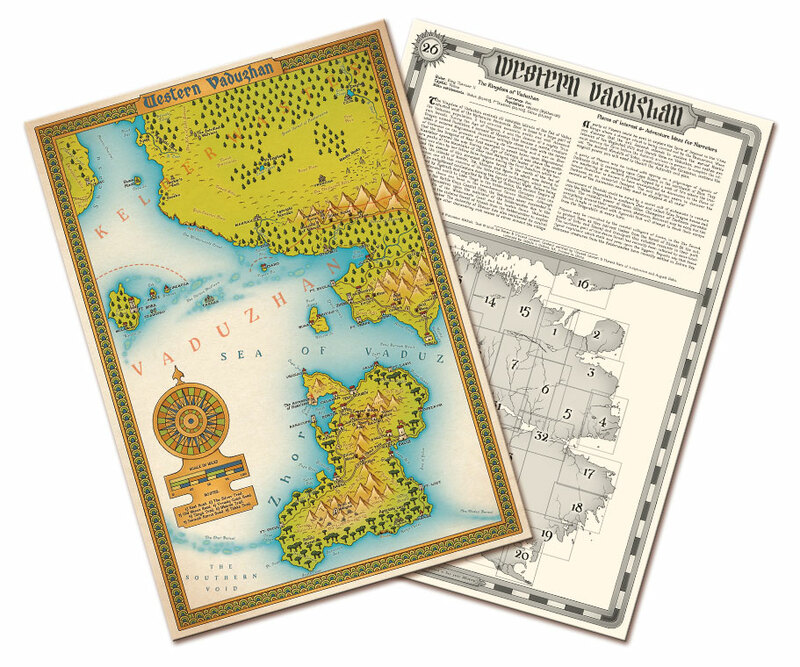 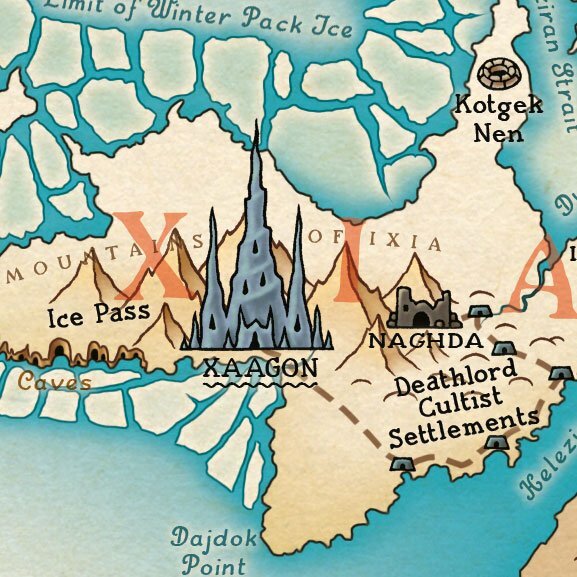 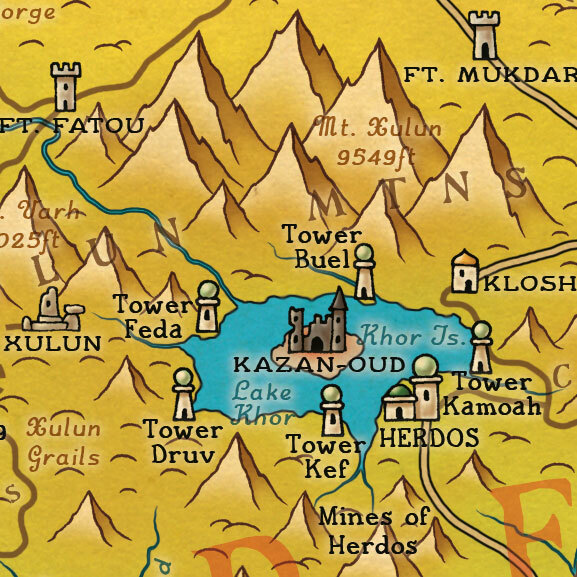 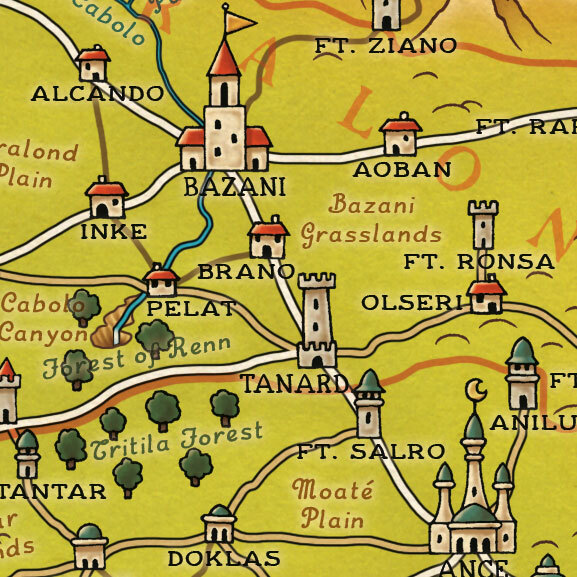 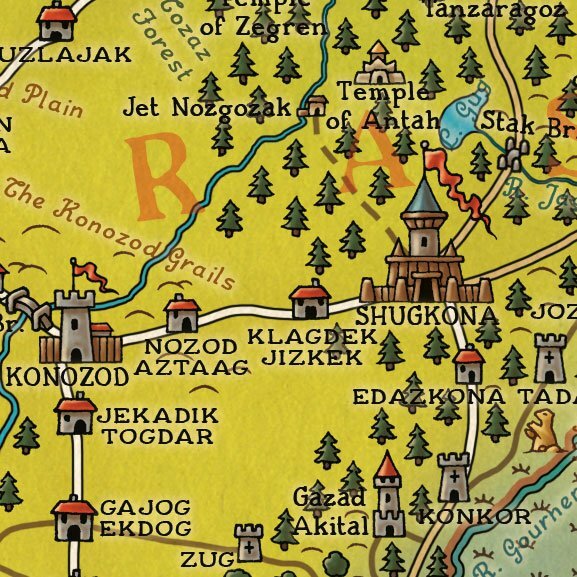 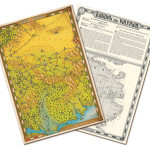 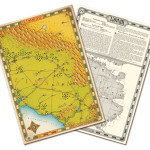 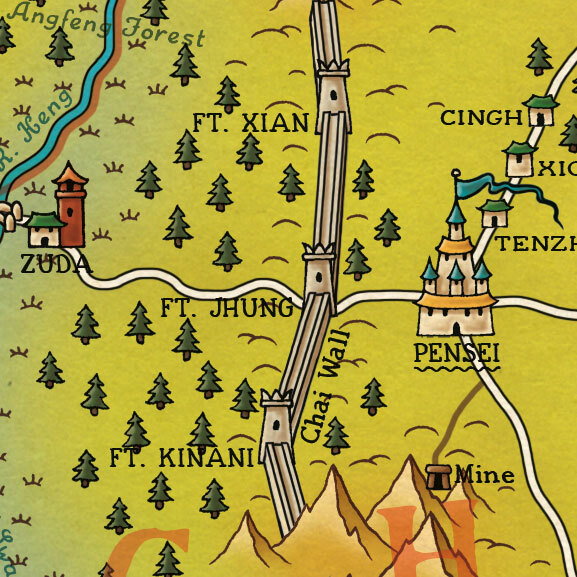 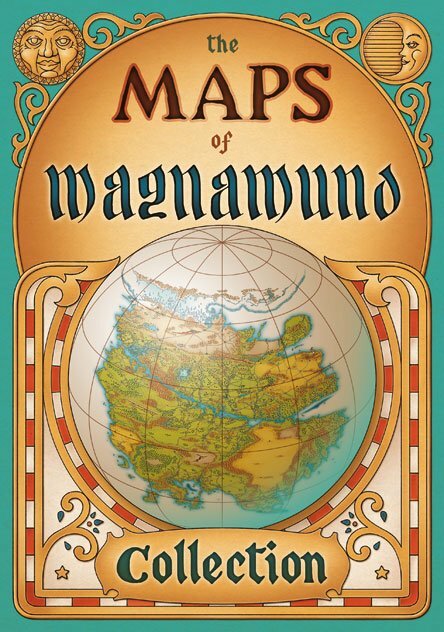 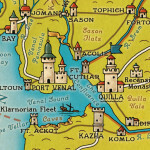 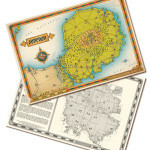 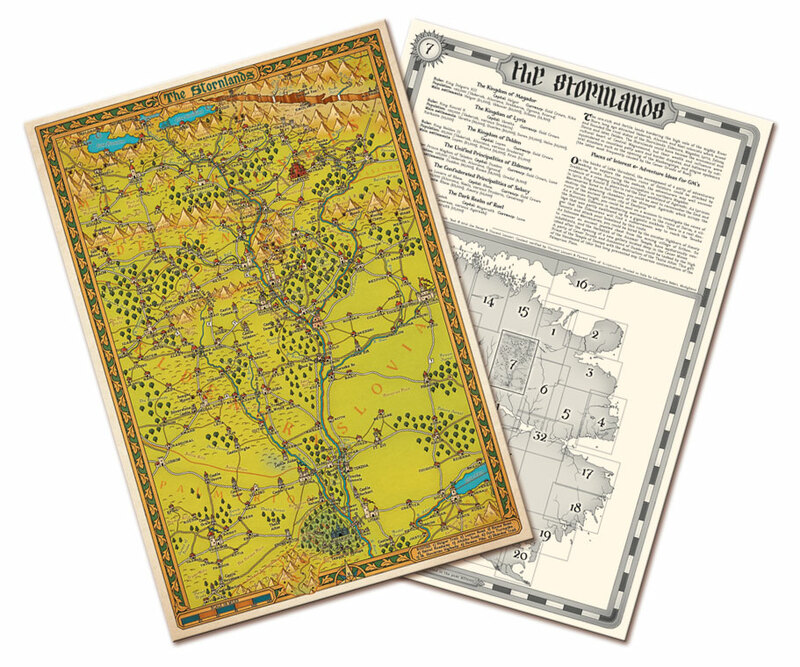 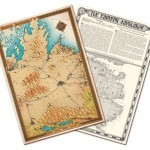 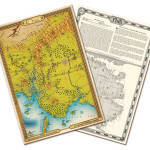 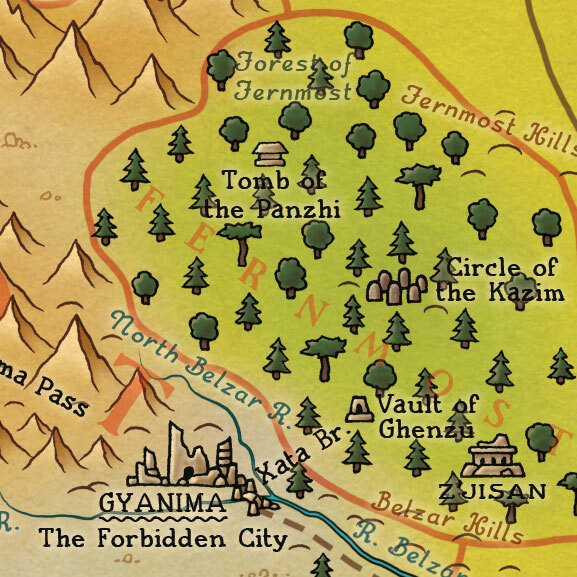 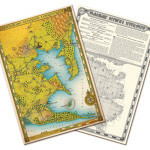 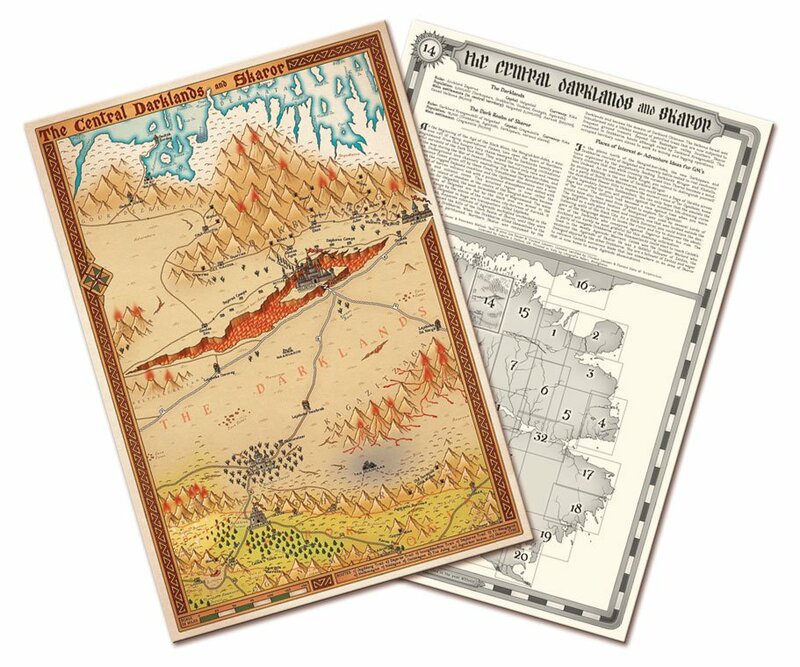 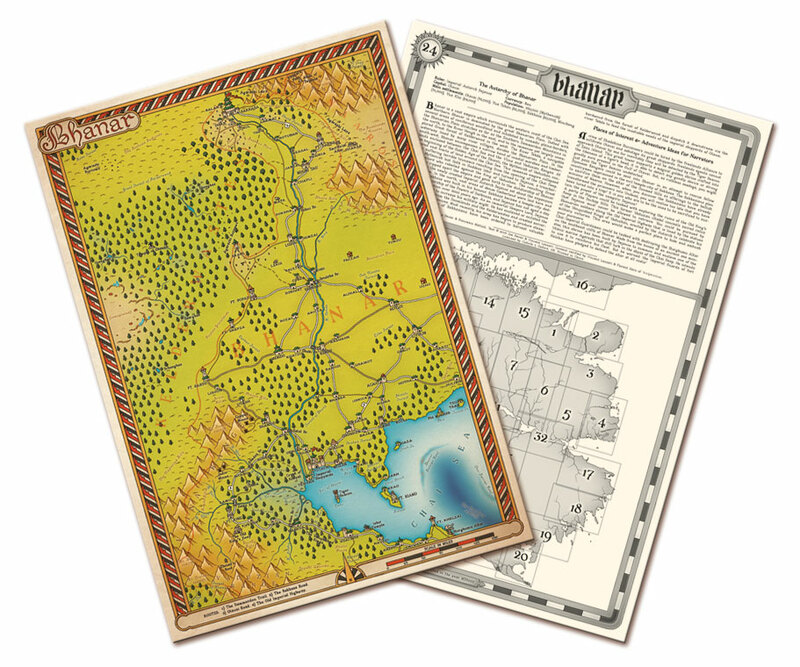 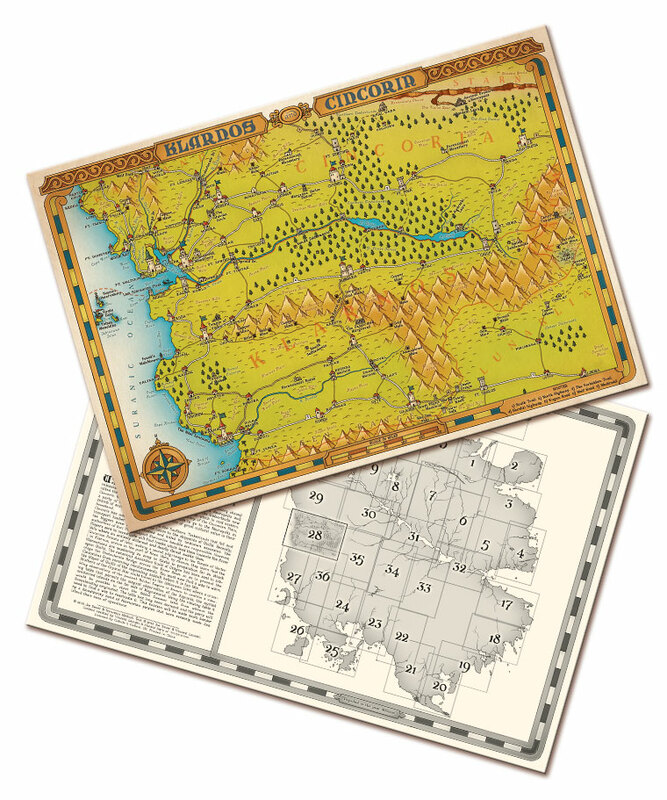 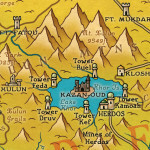 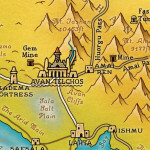 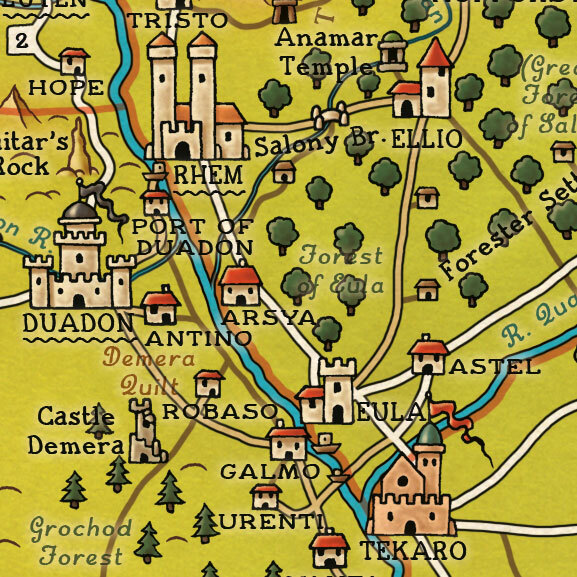 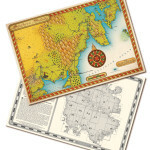 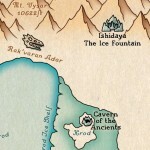 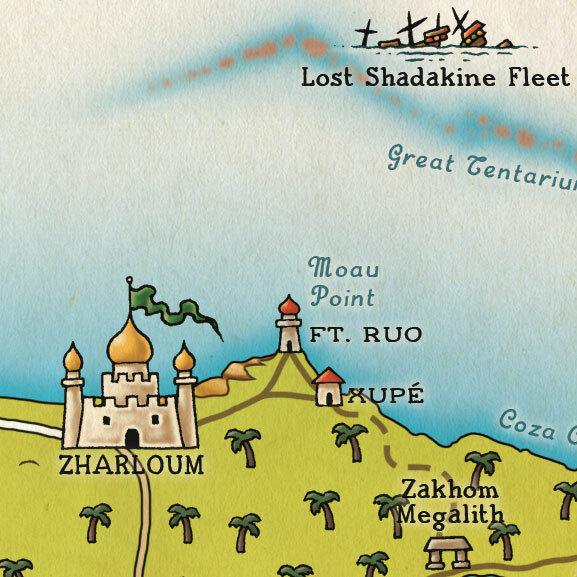 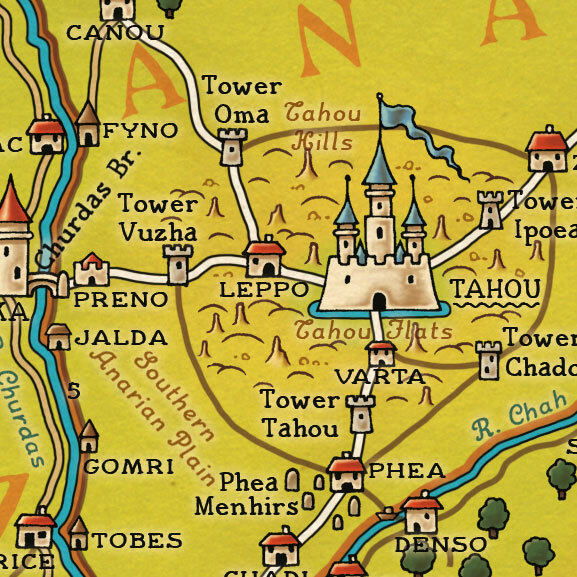 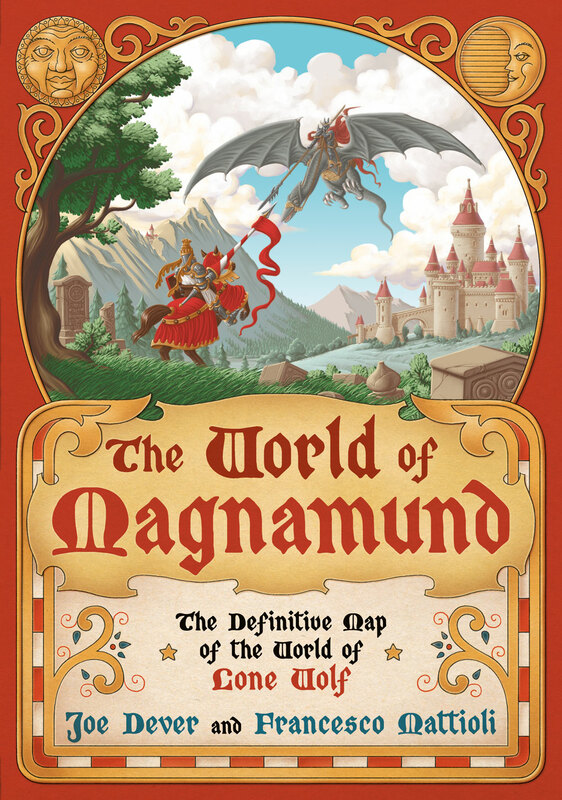 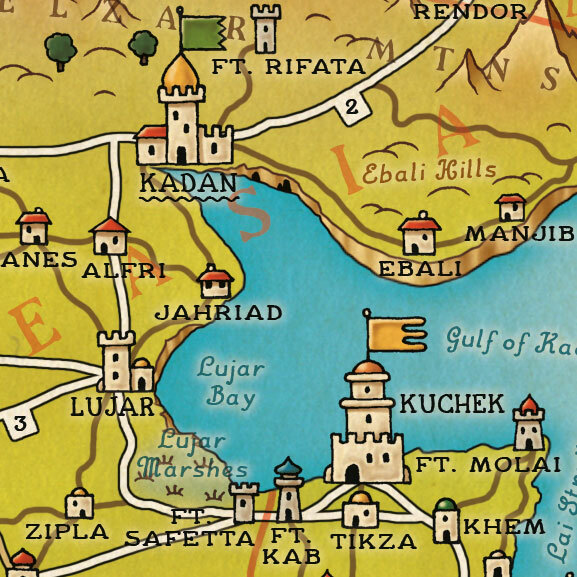 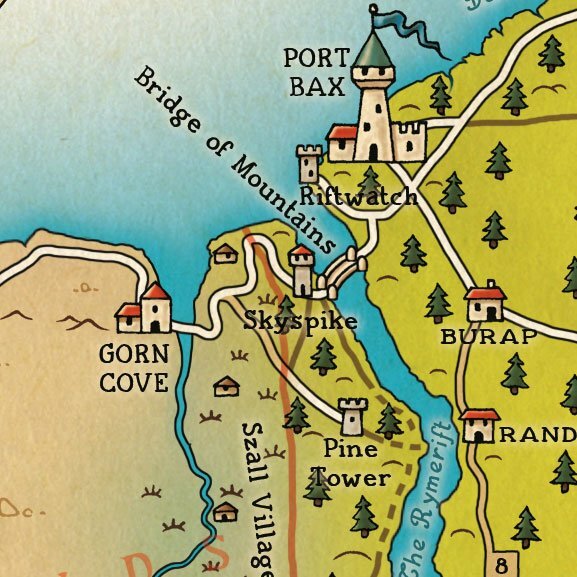 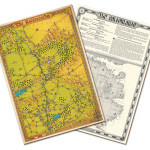 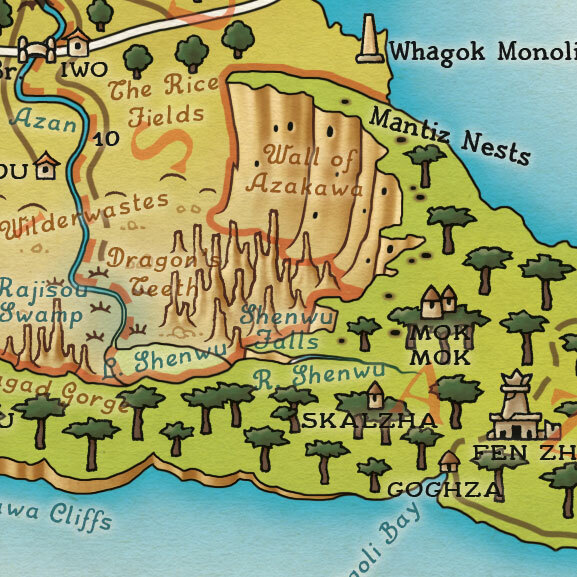 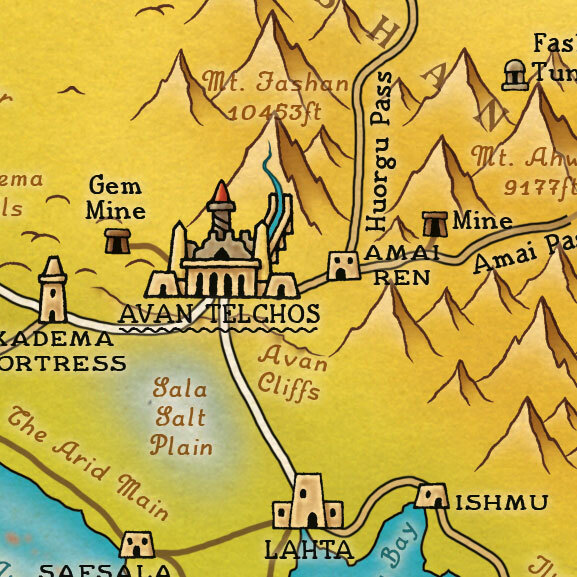 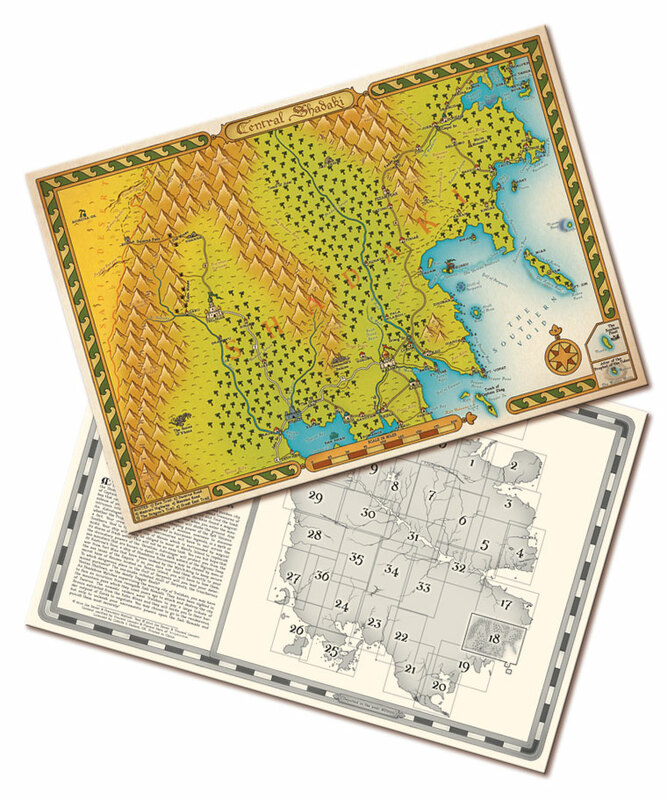 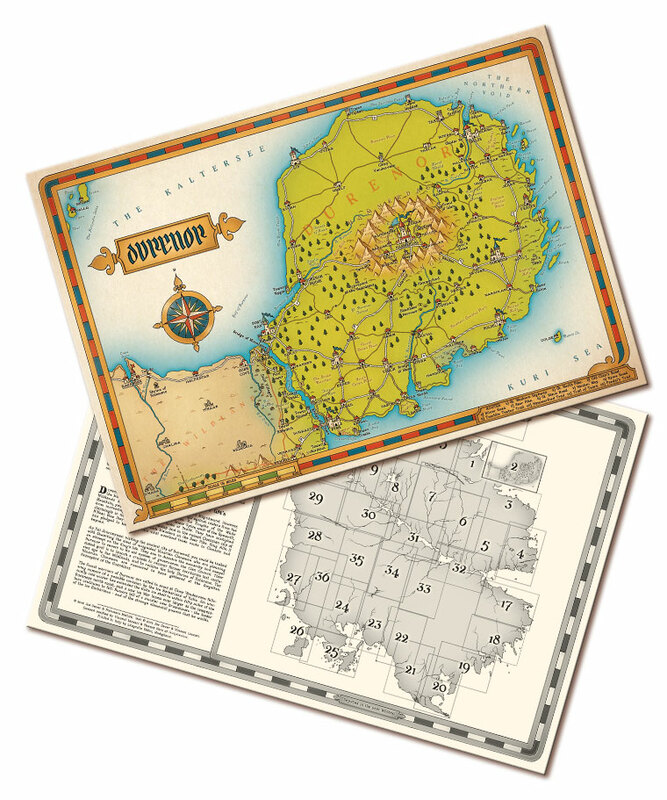 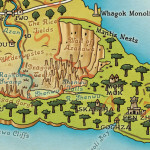 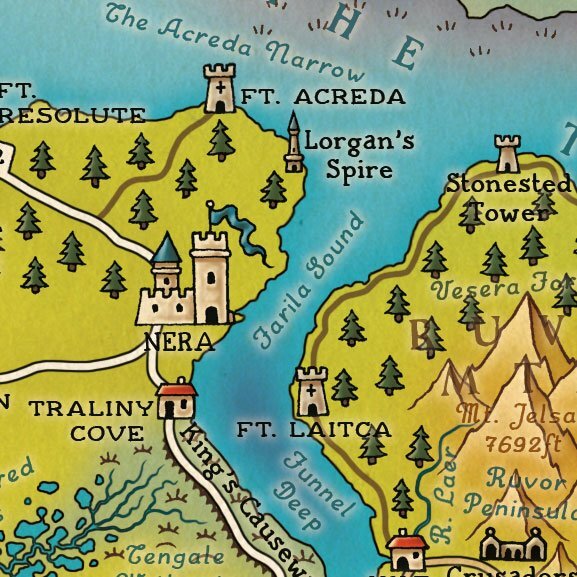 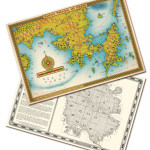 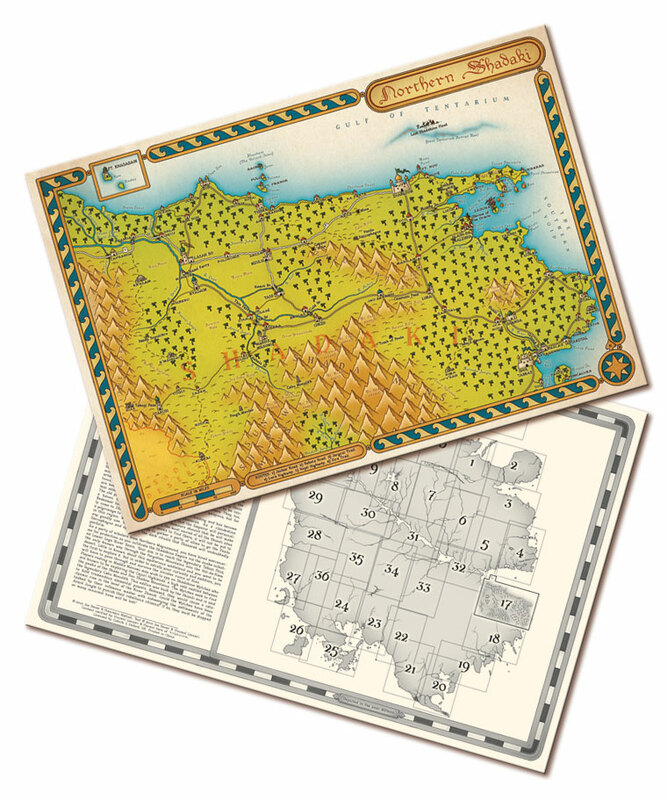 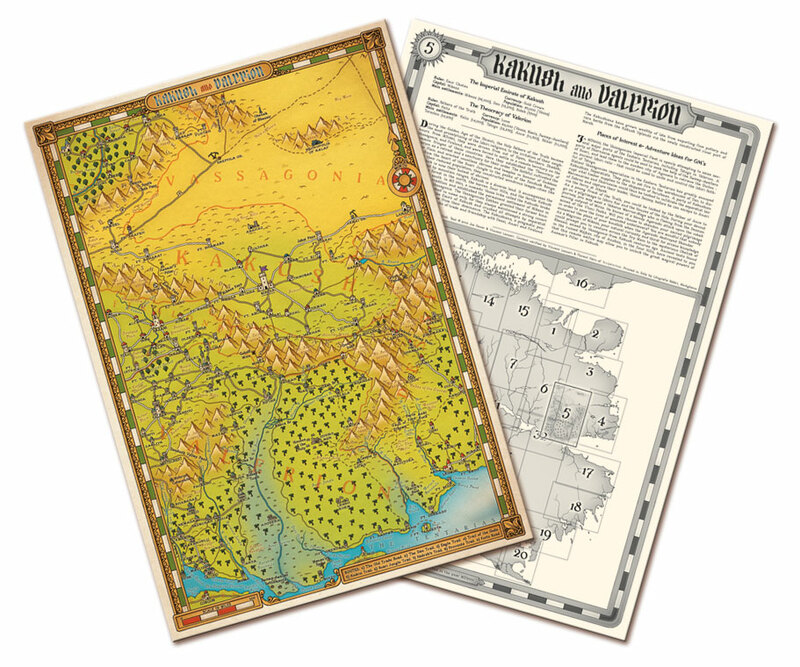 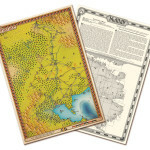 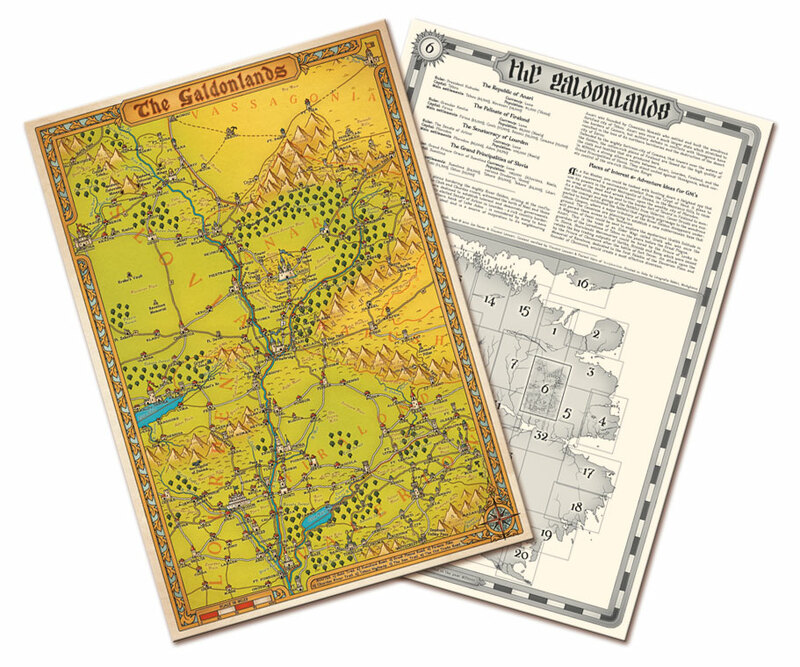 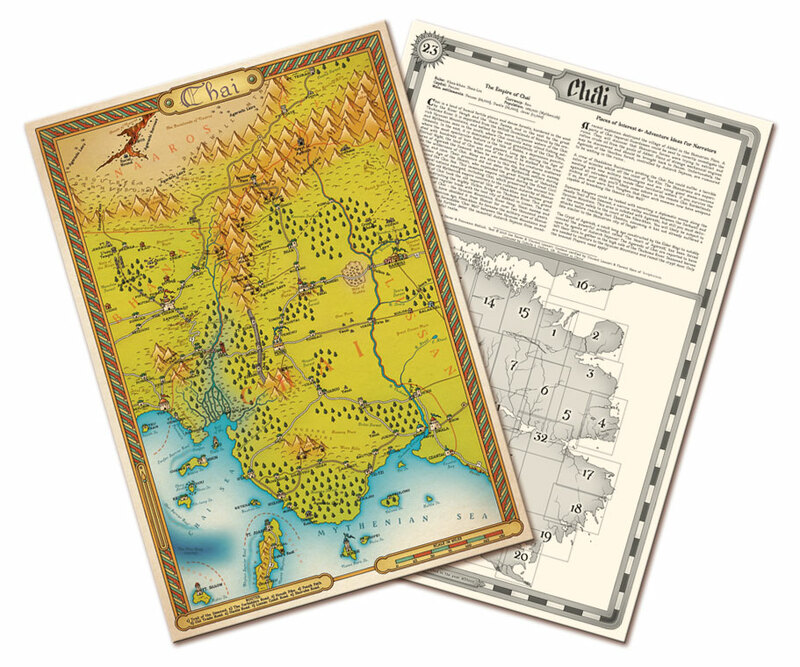 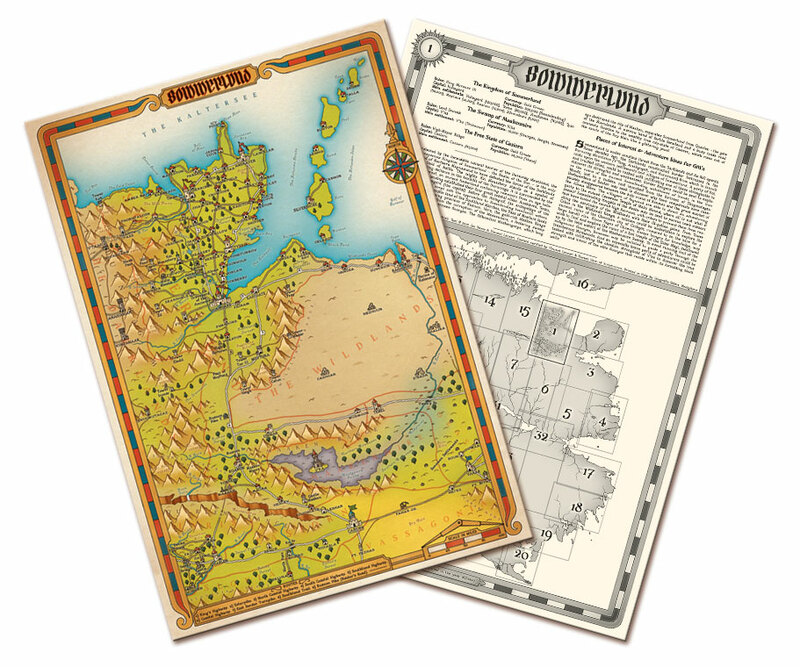 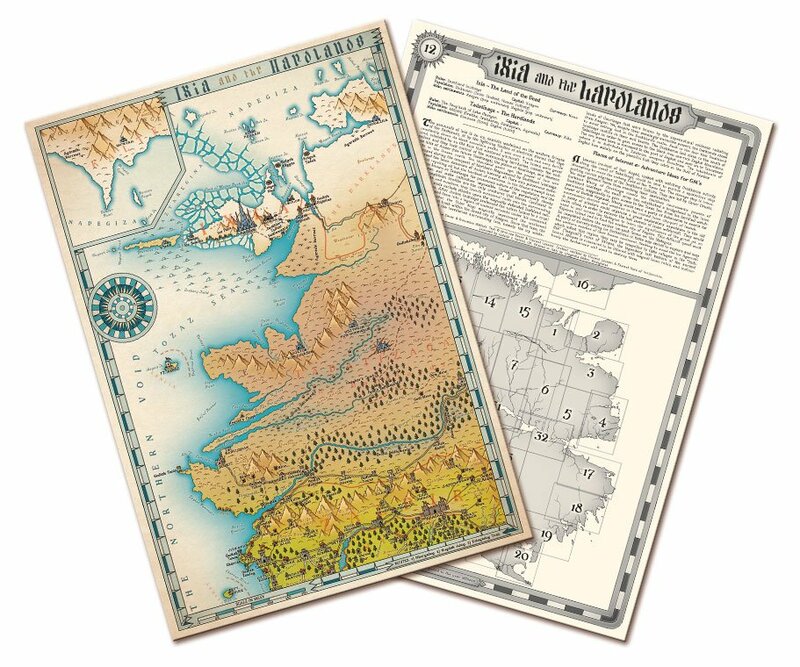 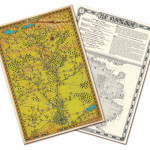 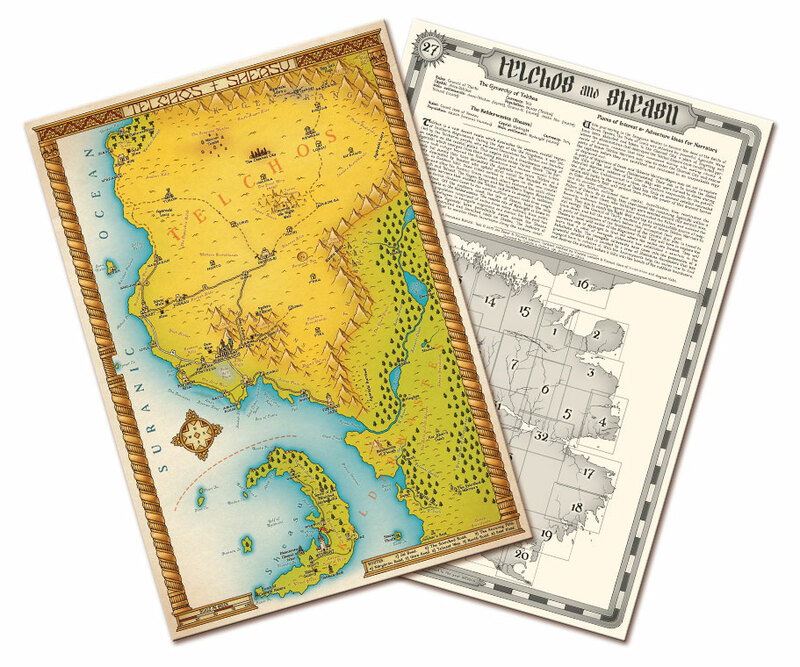 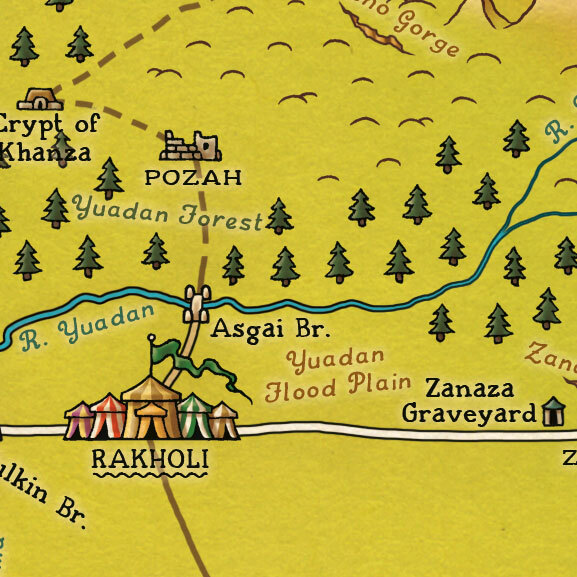 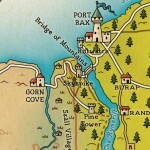 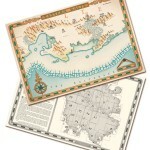 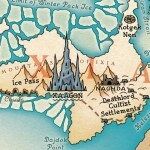 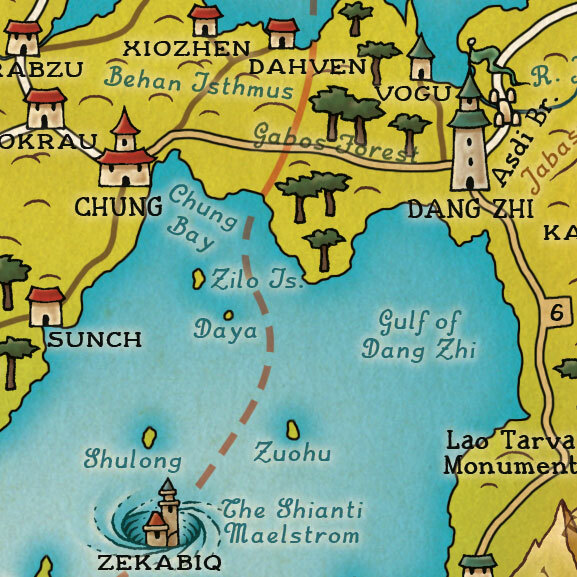 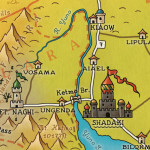 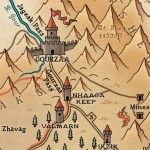 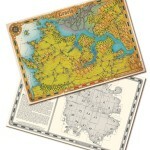 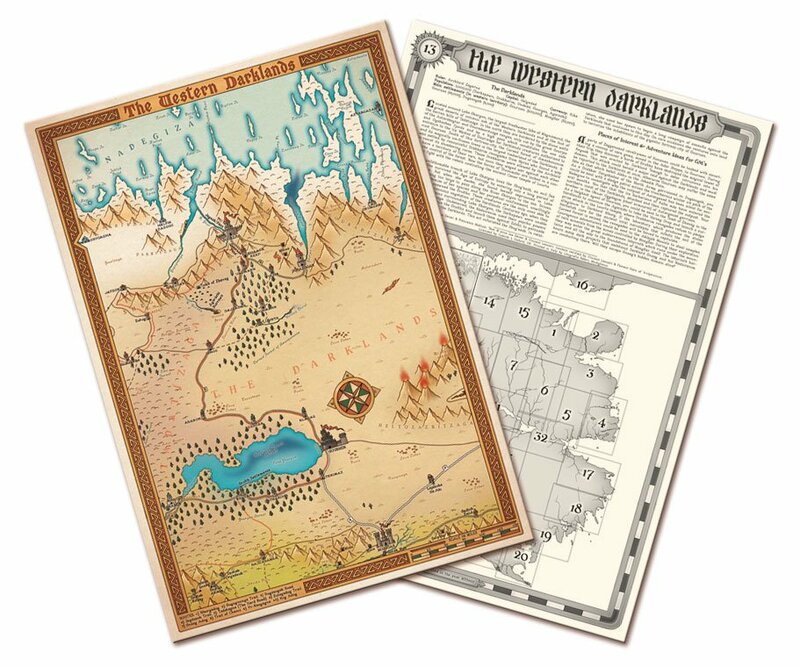 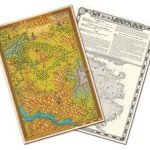 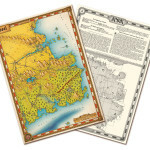 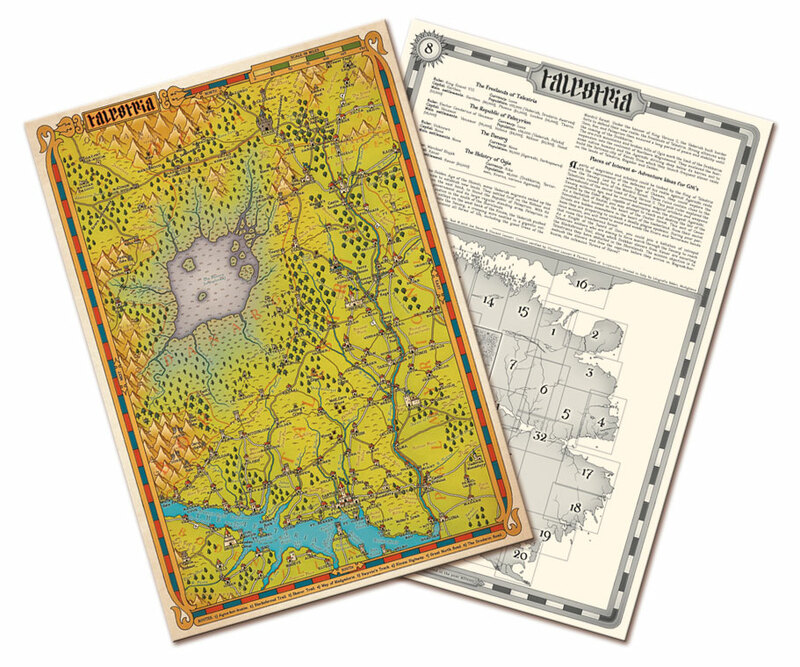 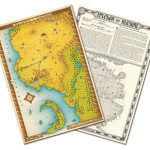 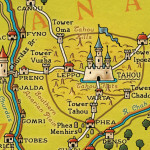 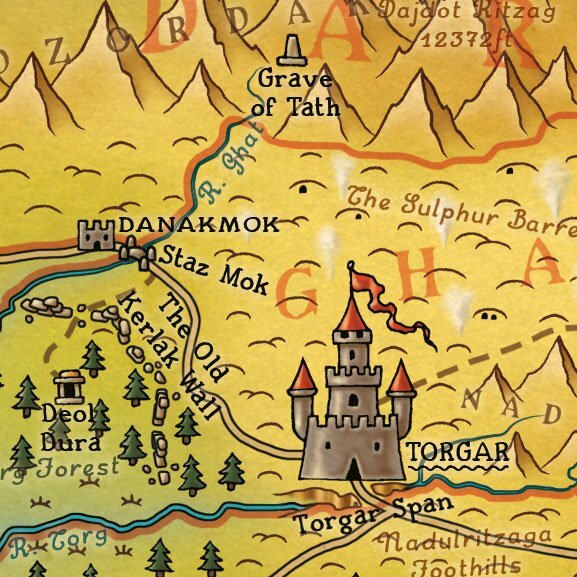 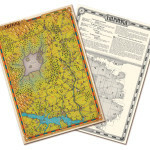 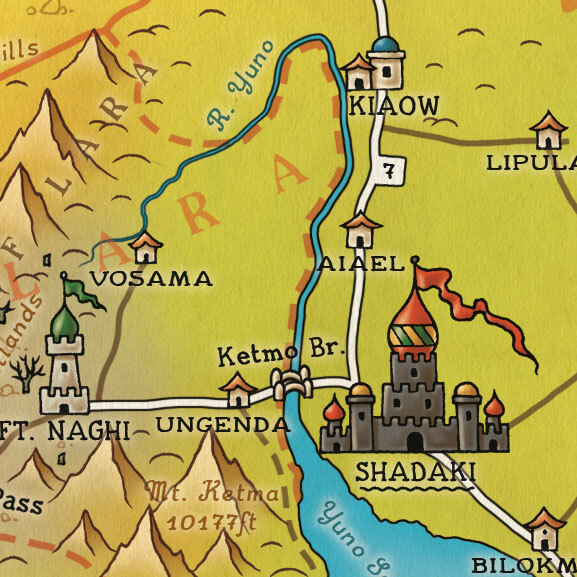 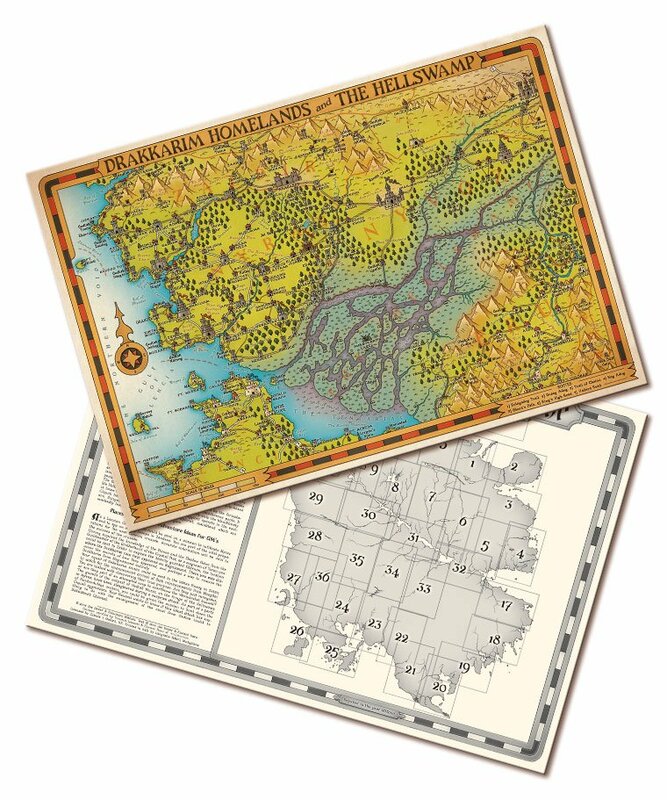 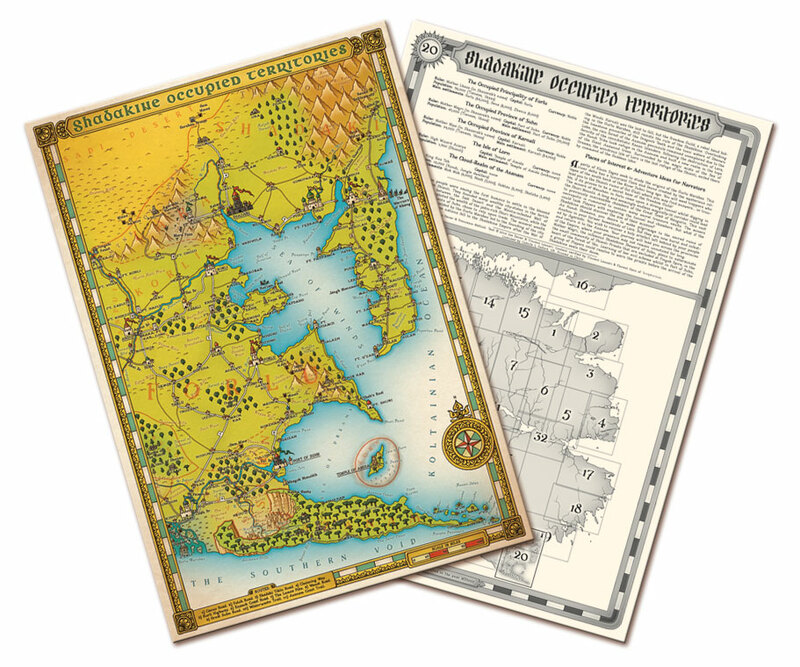 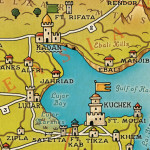 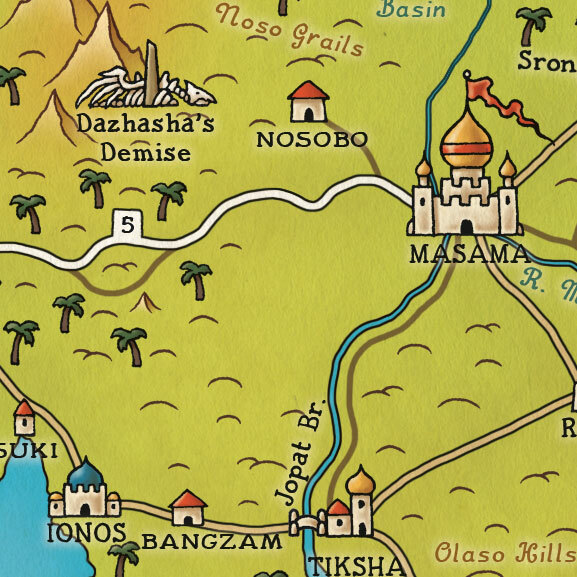 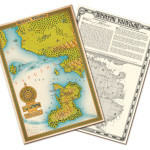 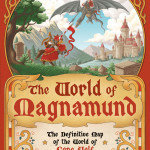 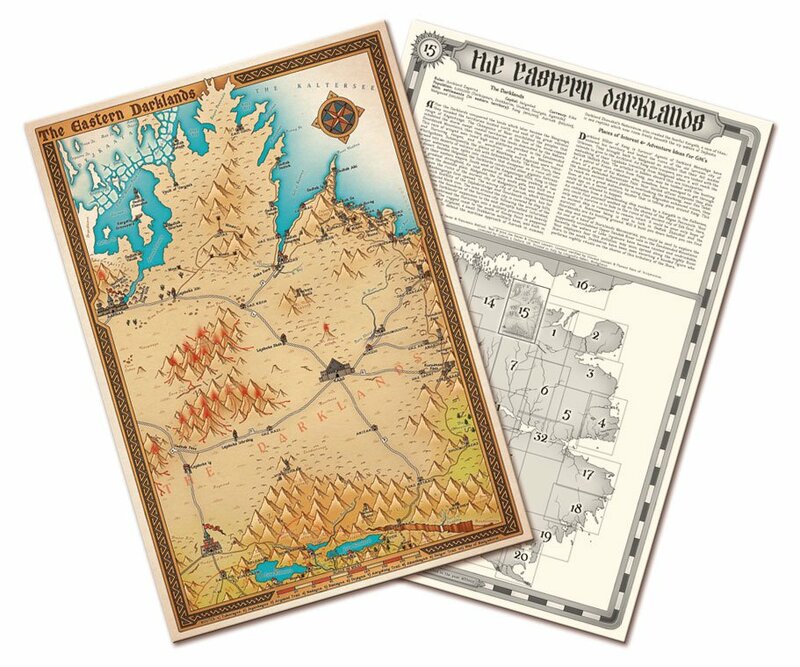 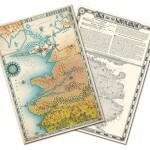 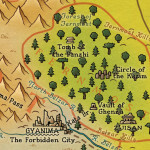 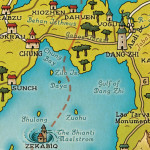 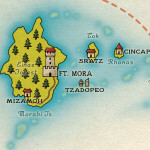 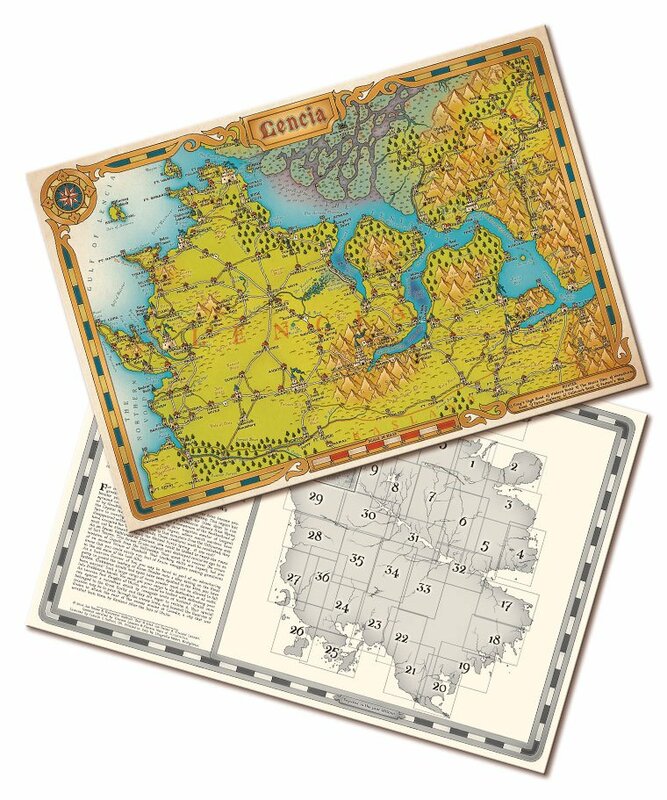 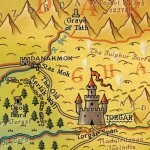 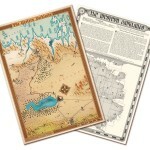 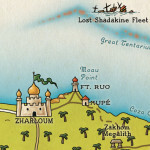 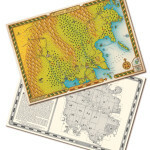 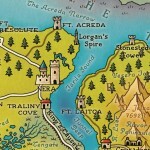 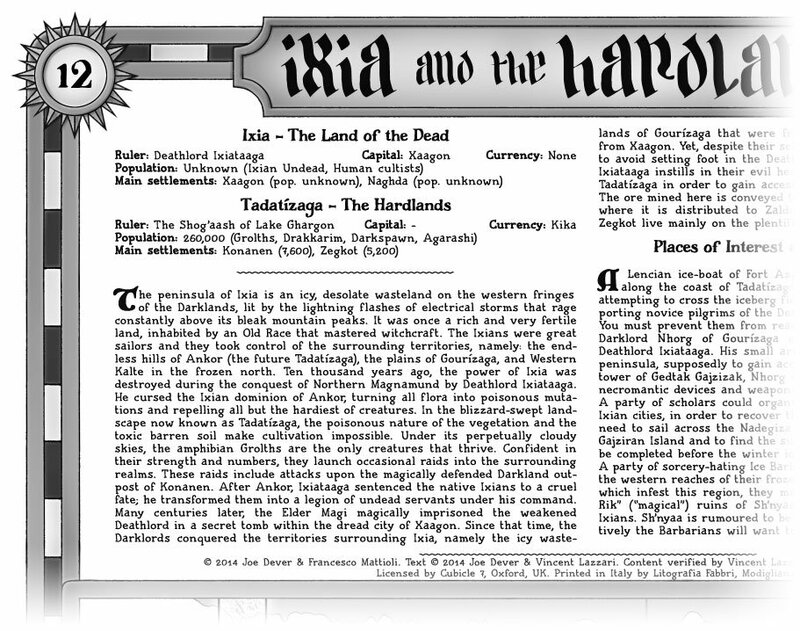 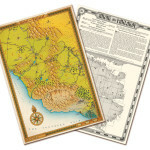 The World of Magnamund map is a large 700mm × 1000mm poster covering all of Magnamund, also illustrated by Francesco Mattioli and sold by Cubicle 7. 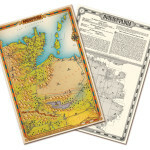 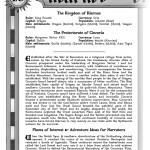 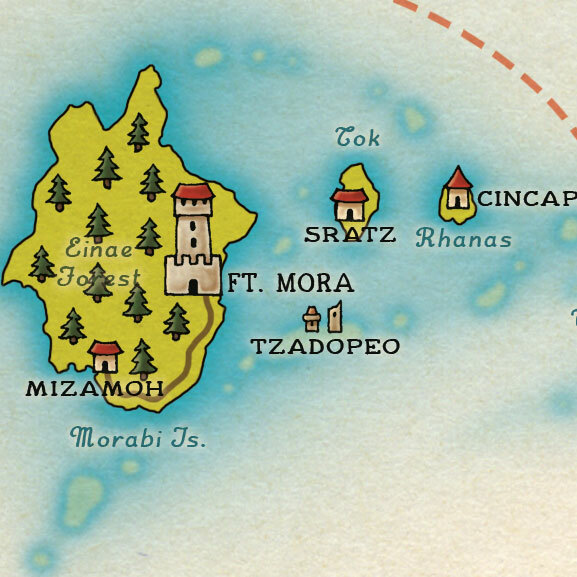 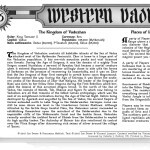 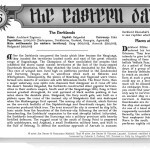 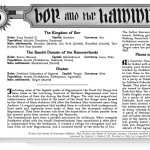 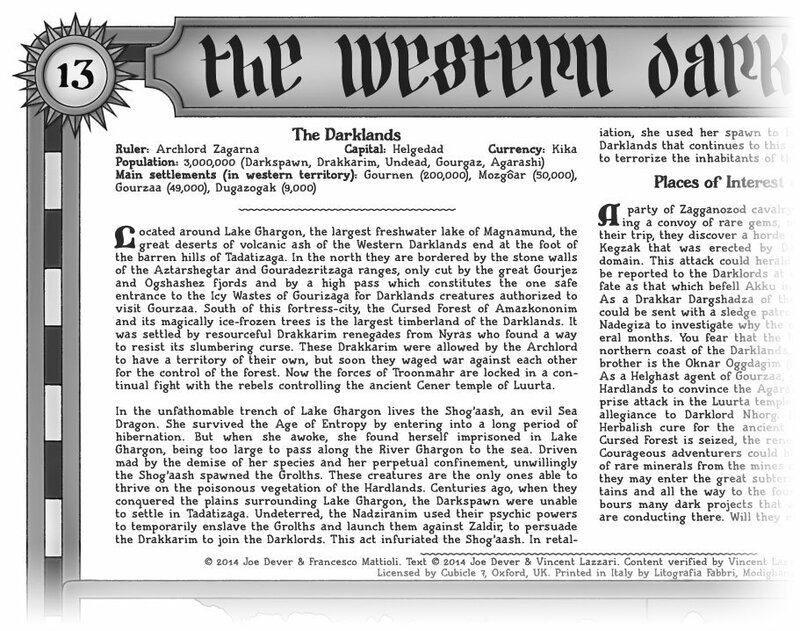 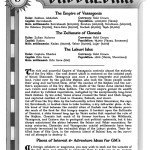 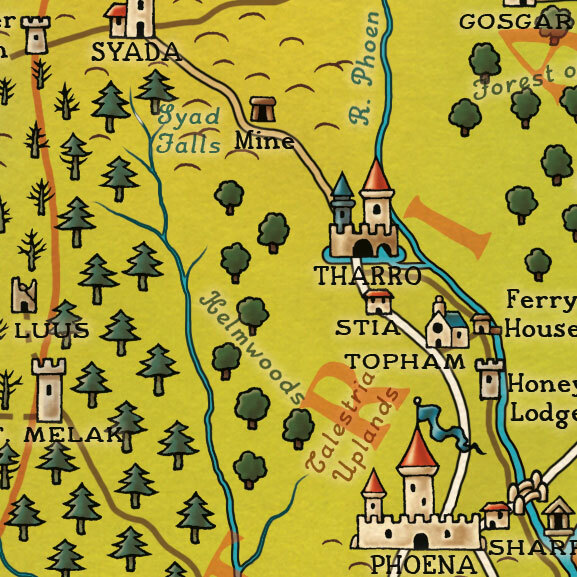 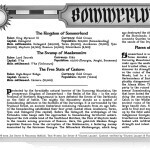 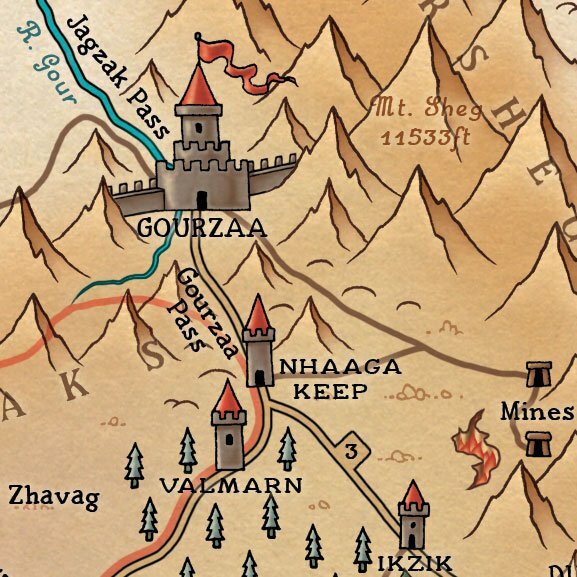 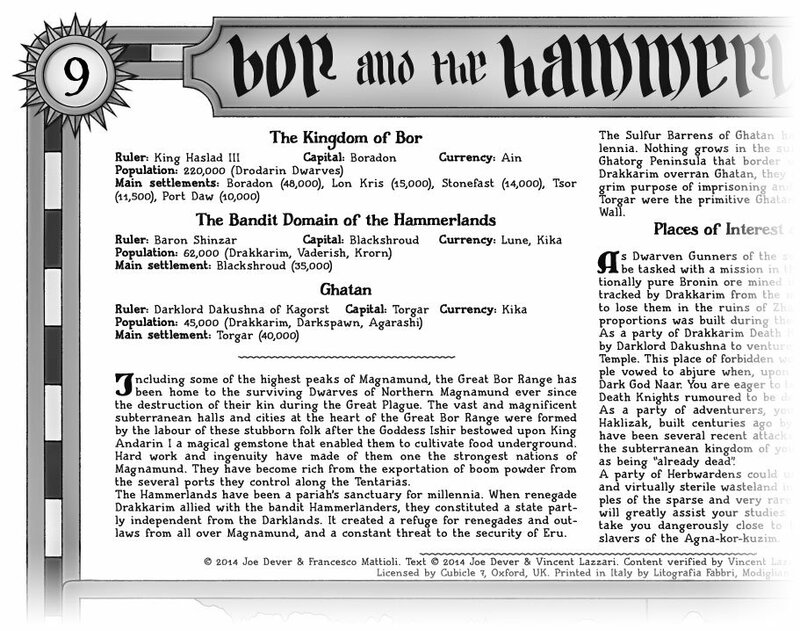 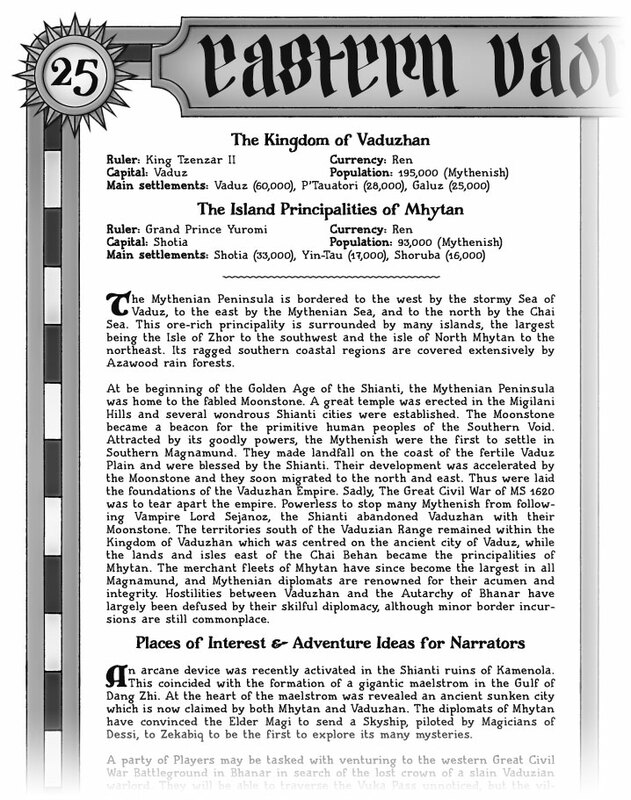 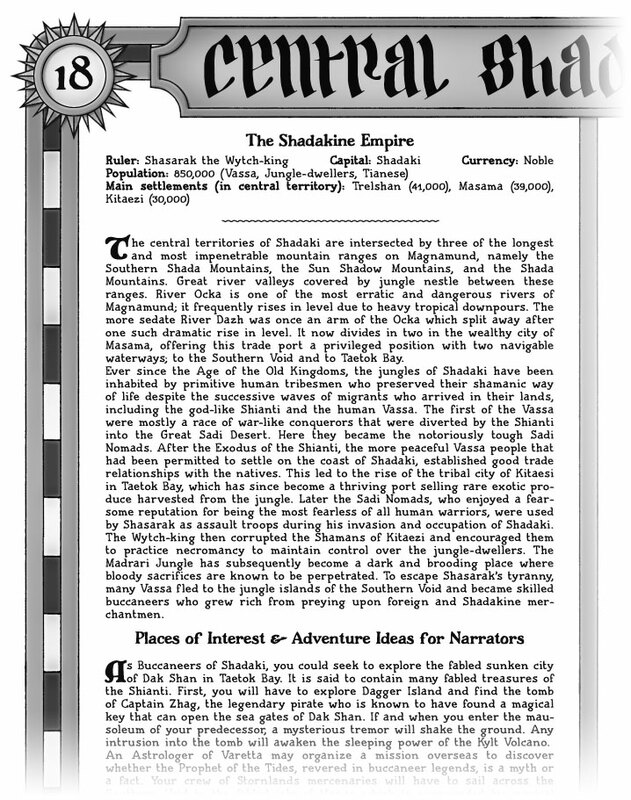 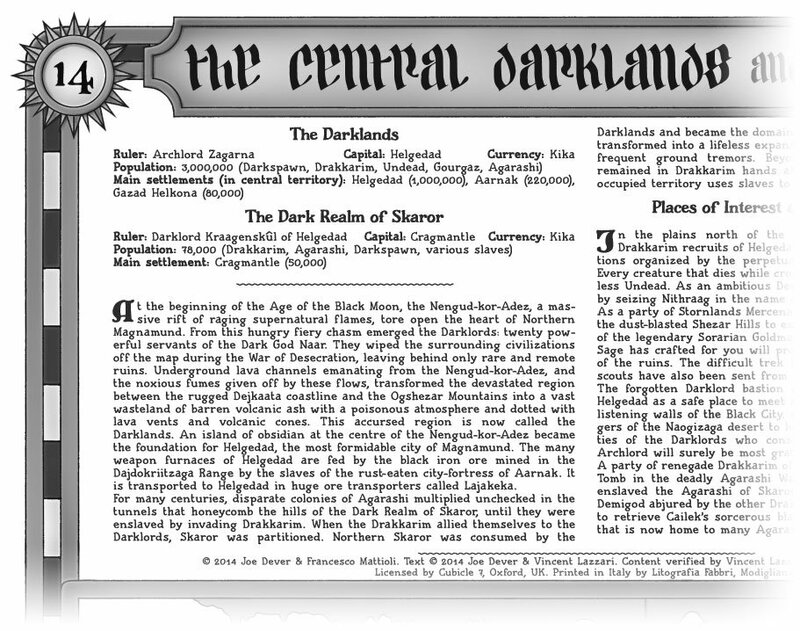 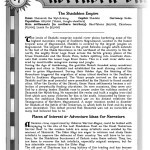 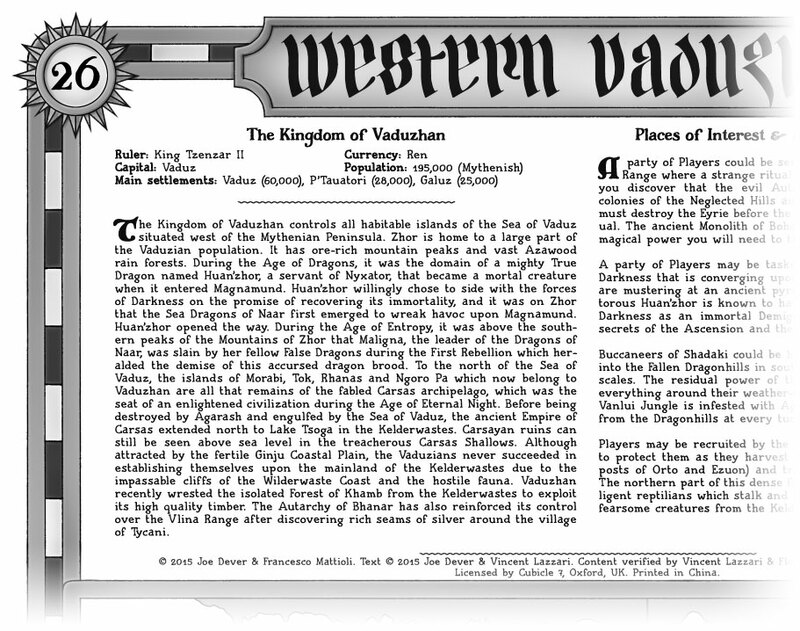 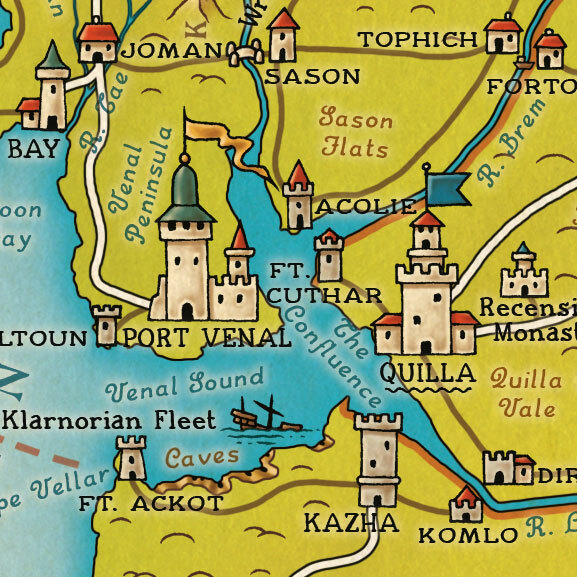 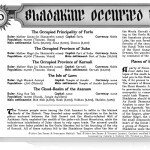 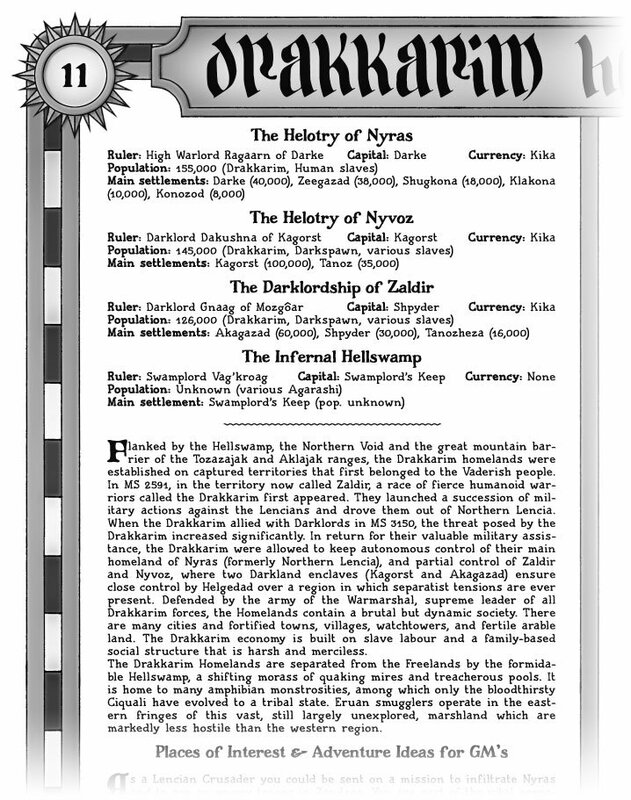 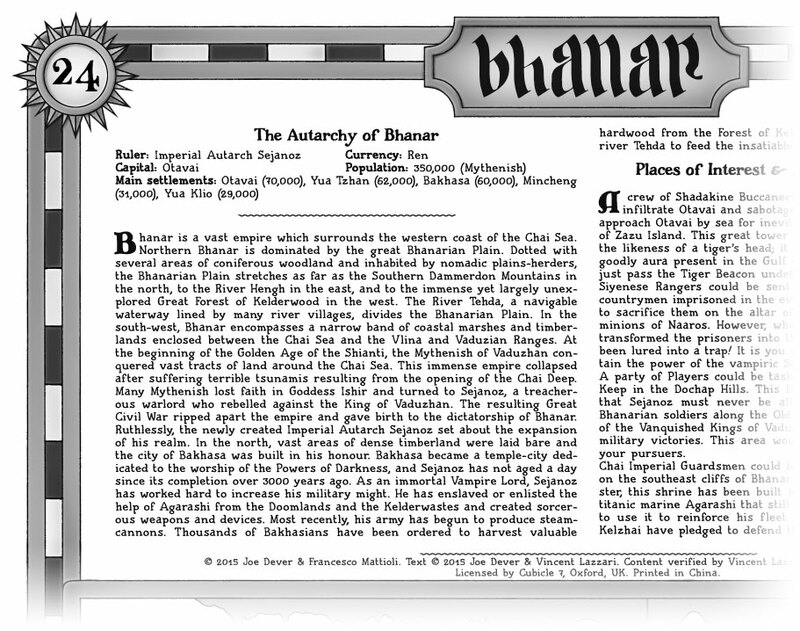 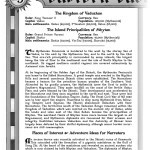 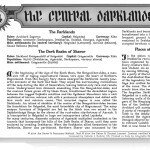 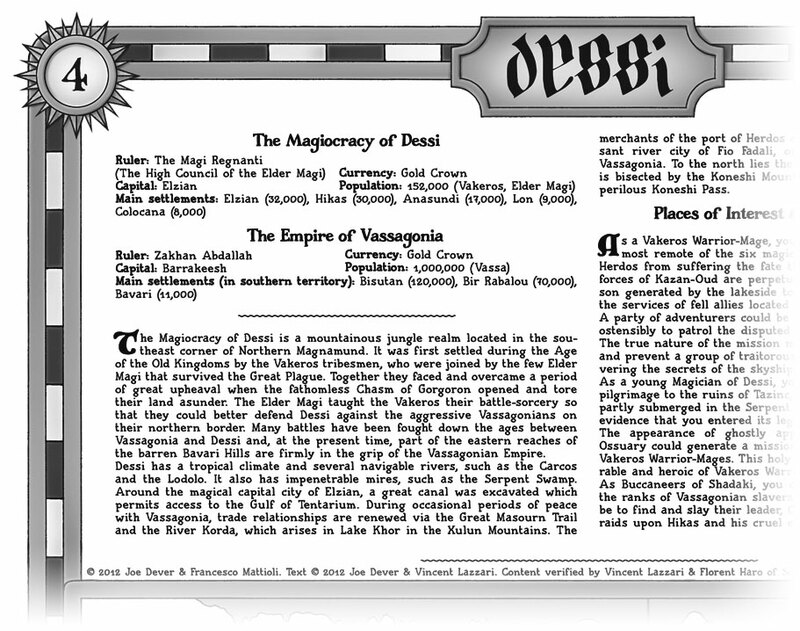 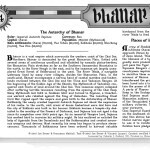 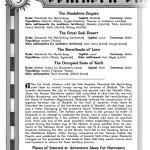 Project Aon has been granted permission to host the following samples of the Maps of Magnamund collection and the World of Magnamund poster map.